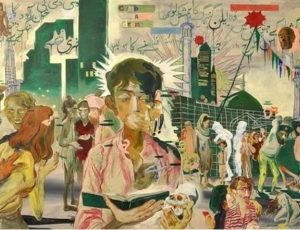 "In his latest paintings, Salman Toor meditates on his life as a gay artist who divides his time between two diametrically opposite communities: New York, where he can live and love openly, and his hometown of Lahore, Pakistan, where the dictates of family and religion demand that he suppress his identity." 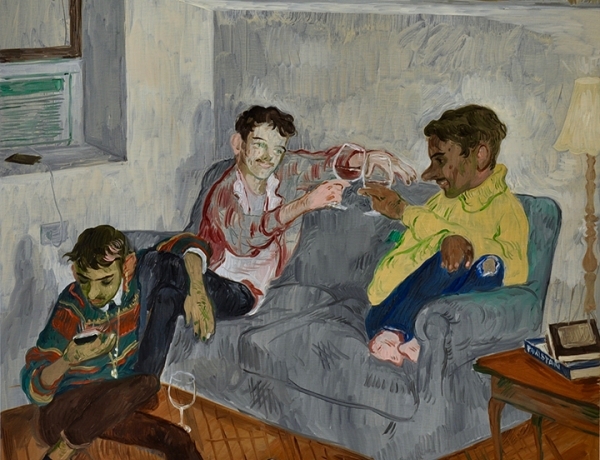 "New York-based artist Salman Toor’s brushstrokes place young queer brown men in scenes of love, friendship, and solitude in his luscious oil paintings. In Time After Time, his ongoing exhibition at Aicon Gallery in Manhattan, he challenges the systematic exclusion of queer men of color from art history. Here, his figures claim the foreground with their bodies, donning flamboyant attires over their delicate physiques. The artist’s dandy types nonchalantly sip cocktails, zealously sway to music, or lazily lounge in their downtown apartments. Beauty, vulnerability, and power shines through each painting." "New York city’s Aicon Gallery exhibits works of fifteen contemporary Pakistani artists, inspiring its title “Sweeping Back the Sea” from video works of artists Omer Wasim and Saira Sheikh, the latter who passed away in 2017. The exhibition aspires to turn the spotlight on contemporary work from the heritage-rich country, by theoretically placing them under common social and historic grounds..."
"With the introspectiveness of someone deeply knowledgeable about Pakistan’s socio-political climate, Suleman rose to prominence at the turn of the new millennium while helping to redefine the scope of sculpture in Pakistan." "'For the last two years or so, even cultural communication between the two countries (India and Pakistan) has become exceedingly difficult. We felt the logistics would be easier if we did something outside the two countries,' recalls Hashmi." "Mr Khan is very determined not to box his work into any one particular category. 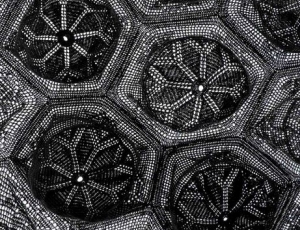 His inspiration comes from his mindfulness of the details of everything around him." 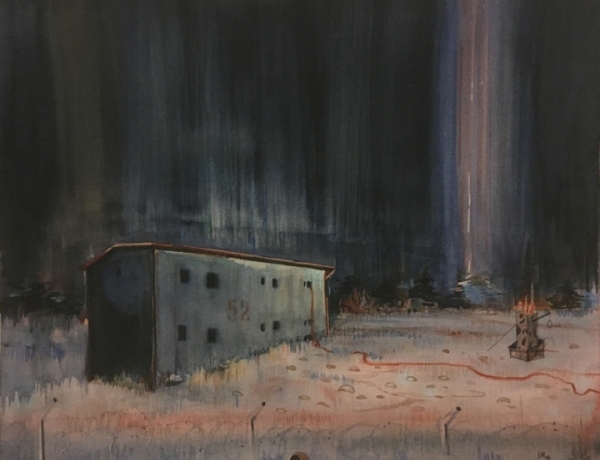 "'Pale Sentinels' does not suggest that the violence of Partition can be rectified through its representation, but offers the potential for the legacies of colonialism’s thrust to be understood from many angles." 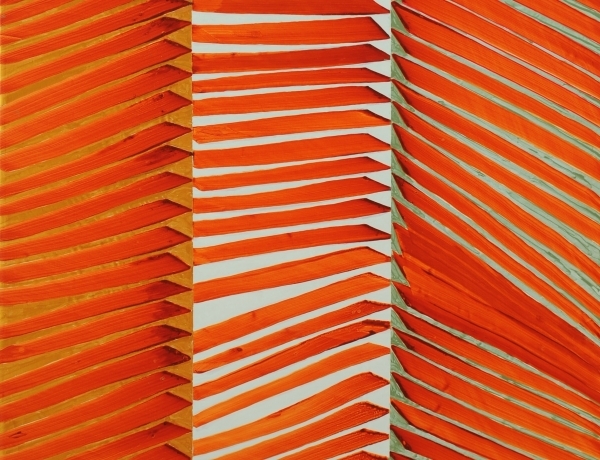 "The quirkily titled Pale Sentinels: A Metaphor for Dialogue opened on 28 June at Aicon, its bold theme addressing Partition with critically acclaimed, award-winning Indian and Pakistani artists. 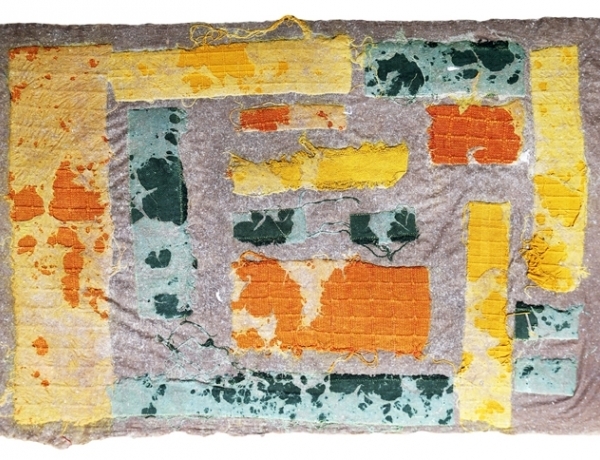 'Each artist in this group has, in one way or another, engaged with borders and constraints,' says Hashmi"
"In light of current world politics and power structures, Syed examines the uneasy relationship between religious, political and economic systems and the veiled strategies of pressure and coercion that curb human freedom." 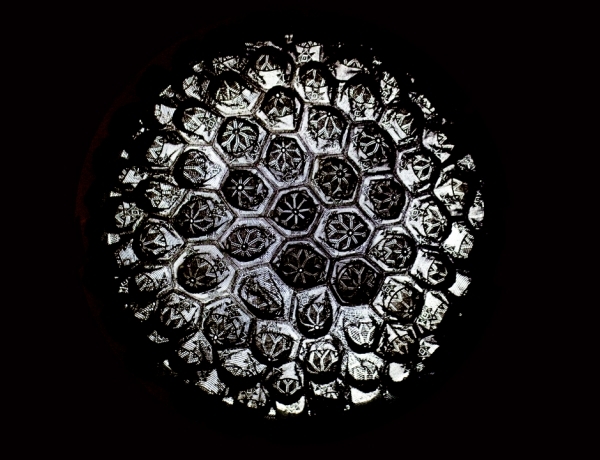 "Scaria’s barren cells, built to house the masses, express what the press information calls “the painful truth of modern existence” as well as “environmental destruction and [the] exploitation of natural resources.” Scaria is a critic, and his own work seems to rebuke so-called pure, reductive art and architecture. Clement Greenberg asserted that “decoration is the specter that haunts modernist painting,” unwittingly echoing Le Corbusier’s view that it is the enemy of modernist architecture, and Scaria likewise offers a minimalist (dare one say puritan?) revision." 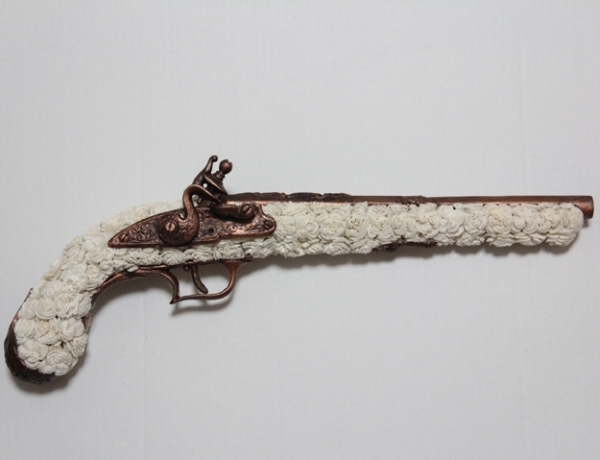 "Not a rock music inspired art show, Guns & Roses is the result of an international collaboration between Mumbai-based art gallery, Chatterjee & Lal, and New York-based Aicon Gallery. The theme revolves around expressions of duality, juxtaposing the contrasting aspects of cruelty and beauty; violence and celebration; chaos and order." 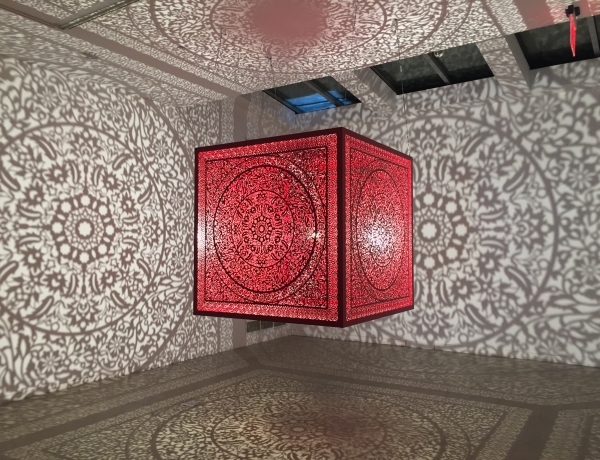 "From the quiet, impressionable surface of the moon to bustling London landmarks, Saad Qureshi’s sculpture, drawing, and installation art explores mental and physical landscapes. 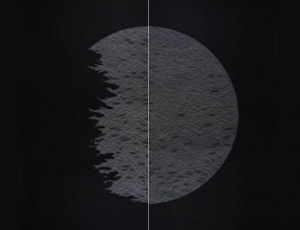 The artist’s work poetically probes cultural belonging, interconnectedness, and separation through scale, material, and metaphor." "I first met GR Iranna at an Art Camp in Scandinavia. At first I found him a bit dour, and distant. Pronouncedly aloof, socially inert. But as he opened up bit-by-bit, he came through as a warm, emotive and sunny individual. Full of humour. Full of knowledge. Full of ideas." "In Gigi Scaria’s All About This Side, exhibition at Aicon gallery, the buildings become genuinely surprising because they are allegorized in myriad ways that reveal a history of varied uses for the idea of a dwelling place: surrealist structures, temples, edifices confected from minerals housed in natural rock, features of the landscape, repeated theoretical design templates that are ostensibly created for people though no humans are in evidence." "In the title photograph of Gigi Scaria’s first major solo exhibition in the United States, a stretch of brick homes is viewed from behind the grates of a metal fence. This physical border is not only the material manifestation of the distance between the photographer and his subject, but also signifies the many degrees of separation between both the upwardly mobile and more rooted social classes of Scaria’s India and their economic aspirations." "The City of Parramatta, a quick express train ride away from Sydney’s central business district, is regarded as a culturally, ethnically and religiously diverse hub within Western Sydney. Many local council initiatives and businesses reflect this sense of multiculturalism, with growing interests in culturally specific tourism, festivals and business ventures. On the flip side, in recent years, some residents in the city have witnessed discrimination in response to encroaching Islamophobia, the growth of anti-intellectual discourse and anti-refugee rhetoric." 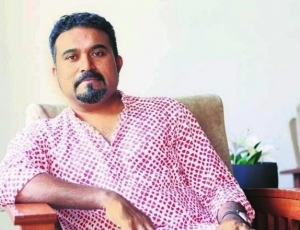 "Talk about urbanization to any Indian artist and they will probably get their hackles up. 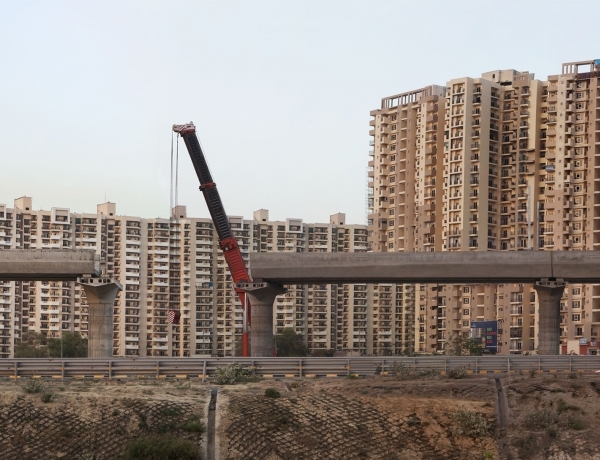 Rapid expansion and accommodation for India’s growing merchant and professional class has led to the wonton demolition of old buildings and historical architecture. Furthermore, swift encroachment on agricultural and rural populations has outstripped the provision of housing for the dispossessed. 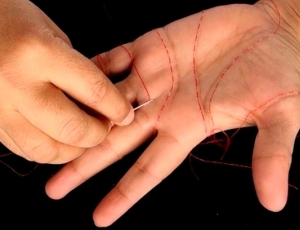 For many artists, this contentious subject matter has become the mainstay of their practice as they hold a mirror up for the rest of us to see what exactly is taking place." 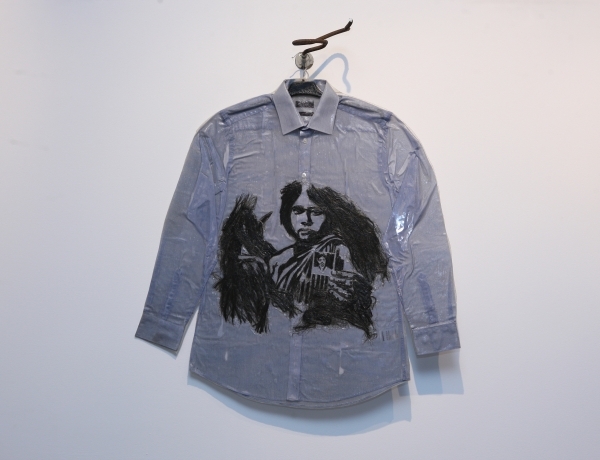 "The exhibition deals with the themes of migration and displacement. 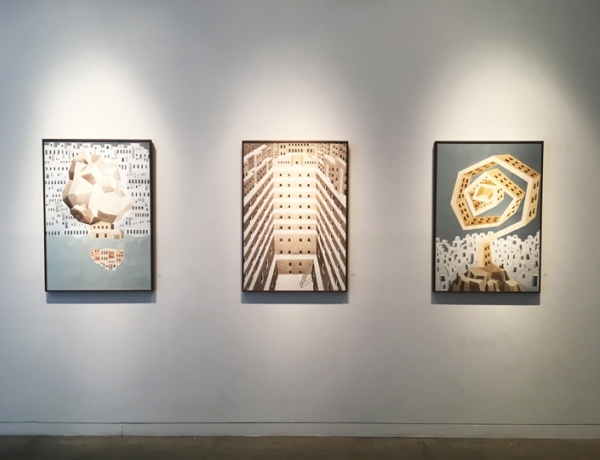 The works on display draw attention towards these concepts through in-depth investigations of urban topographies, modern city structures, and the consequences of these elements for people who live among us." 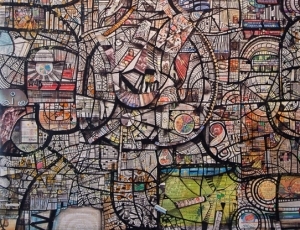 "Scaria has always been comfortable highlighting painful truths of urban existence. He clearly casts his assertions on everything perceived, imagined, and hoped for about cities and our lives within them. 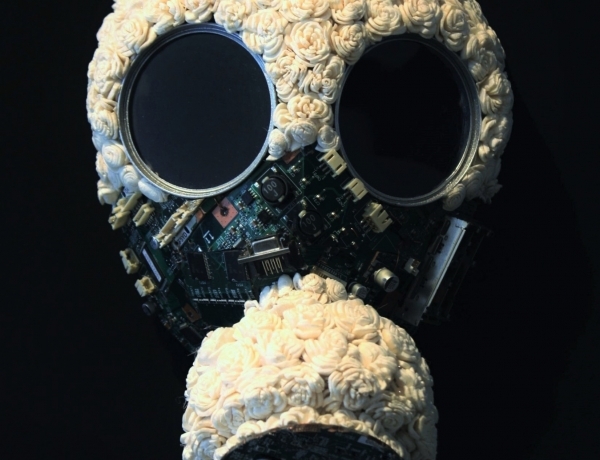 The show is a commentary on the fact that the future we imagined has already become a burden to carry forward." 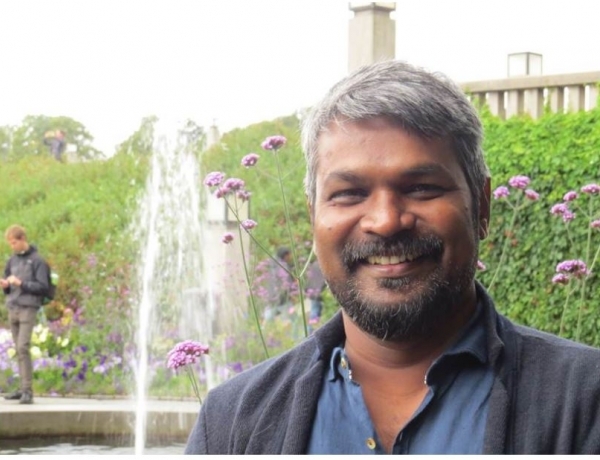 "Engagement with the environment, urbanisation and migration have dominated Scaria's work for over two decades now, ever since he moved to Delhi from his hometown Kothanalloor, a village in Kerala. With layered works that address the past, present and the distant future, Scaria has consistently reflected on the complexities that we live with." "The comedic play, The Birds, by the ancient Greek playwright Aristophanes, revolves around the quest of birds to create their own kingdom in the sky between the warring gods in heaven and tempestuous mortals on earth. Loosely inspired by the liminality—the interfacing of the threshold between two planes—of such an imagined space, Indian artist Surendran Nair’s new body of work in “Cuckoonebulopolis: (Flora and) Fauna,” presented in the artist’s first solo exhibition at Aicon Gallery, explores notions of indeterminacy and ambiguity, while intending to push the viewer to consider new hypothetical realms of possibilities." 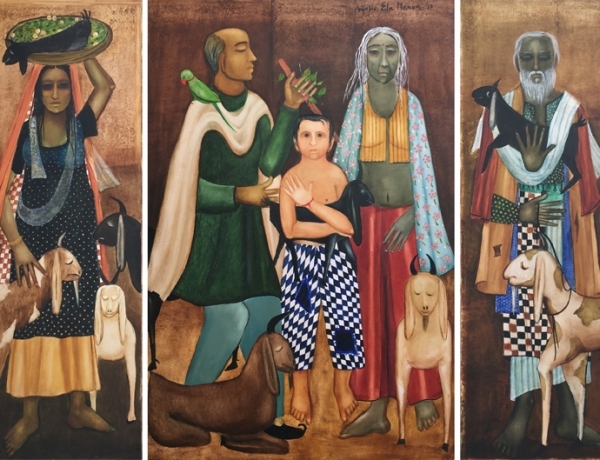 "New York’s Aicon Gallery unveiled nearly half a century of work by the prolific Indian painter Anjolie Ela Menon in her first-ever retrospective exhibition in the United States. 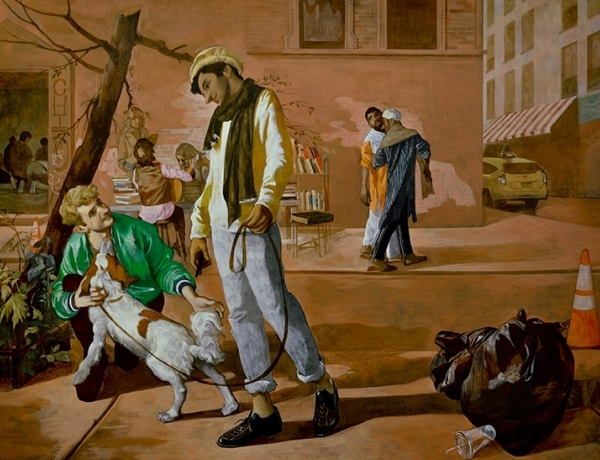 While the New Delhi-based artist has previously exhibited stateside, “A Retrospective” featured over 40 paintings and drawings from Menon’s oeuvre, offering American audiences a rare glimpse of early pieces borrowed from private collections alongside more recent works." 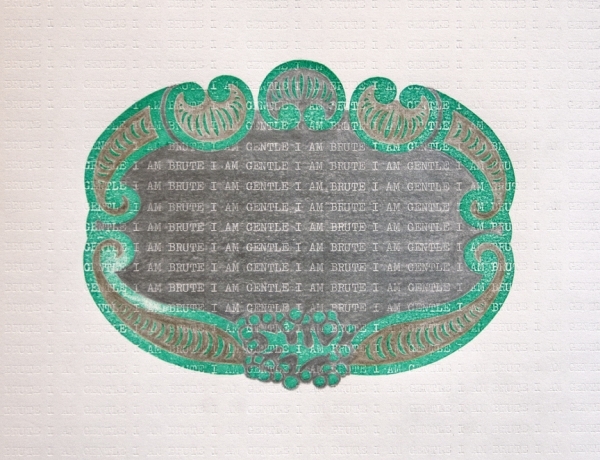 "Anjolie Ela Menon’s work transcends time and place. Menon, who lives and works in India, draws inspiration from many artists and eras, from Modigliani to contemporary painter Maqbool Fida Husain, from modern-day India to the Byzantine Empire." 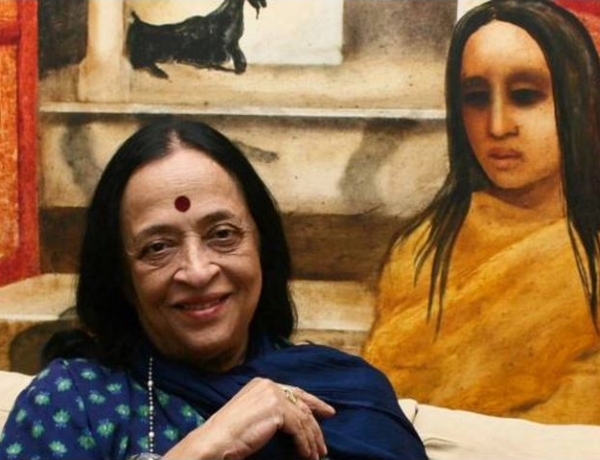 "A career spanning over five decades, Menon’s aim, as is witnessed in her bio is to “defy categorization”, which she has successfully achieved. Her work has distinct influences of Byzantine art, her figures reminiscent of icons seen in early Christian art with beautiful rendering of Indian themes. The amalgamation of the western style with the eastern subject is a visual treat for the senses and I wandered around the exhibition trying to soak up everything in one day." 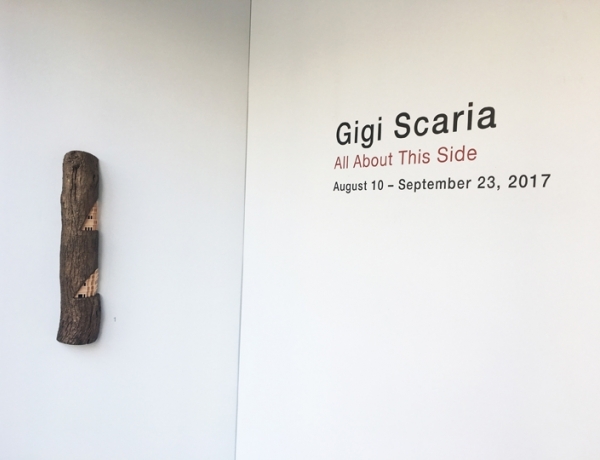 "In these works (part of her solo exhibition at Aicon Gallery New York starting from May 20, 2017), the artist probes the multiple facades of our life. First the choice of a landscape, a picture postcard view, is important because it indicates how we view nature, not as what we experience with unpleasant encounters but as ideal setting almost replicating our concept of Eden." 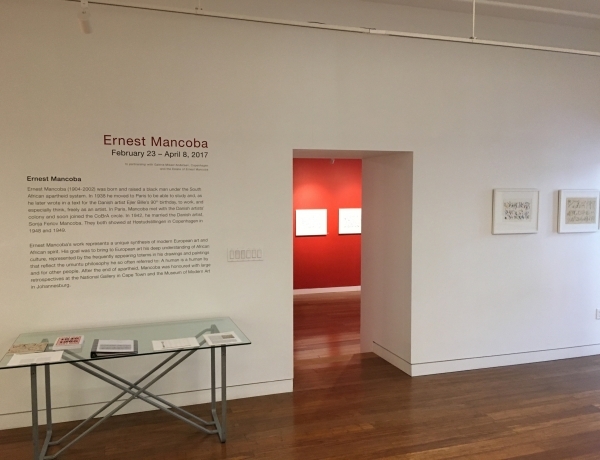 "The first North American solo exhibition of Ernest Mancoba included four small paintings ranging in date from 1958 to 1985 (one is undated) and some twenty works on paper (many of them likewise undated, but the others are mostly from the early 1990s), giving art lovers on this side of the Atlantic at least a nodding acquaintance with an oeuvre I suspect we are going to get to know much better in coming years." "From 1983 to 2009, a grisly civil war gripped the island nation of Sri Lanka. In the aftermath, 13 artists unpacked the trauma of war as part of the group exhibition “Portraits of Intervention” at Aicon Gallery in New York. 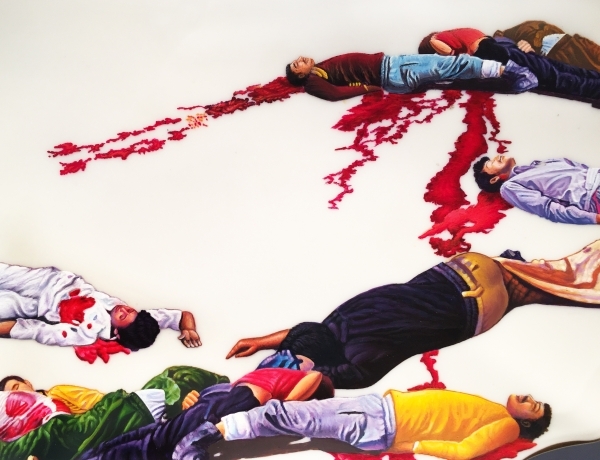 Curator Bansie Vasvani said she was drawn to the organic quality of these artists’ responses to the bloodshed, as well as the variation in form found in those reactions." "In a distinctive career spanning more than five decades, the Pakistani-born, Britain-based artist, writer, publisher, and occasional curator Rasheed Araeen has like no other practitioner radically questioned the art world’s fixation on Western-dominated artistic histories and discourses." "For Mancoba, this freedom also meant release from art that had to look African or Western; he could forge what he saw as a utopian synthesis. Accordingly, the work at Aicon, all from after Cobra dissolved in 1951, thwarts easy cultural readings. In small oil paintings, abstract strokes and daubs of color coalesce into sketchy, featureless figures; in related ink drawings they resemble large-headed African sculptures. 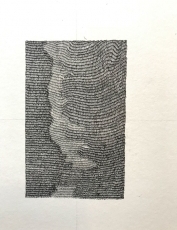 Other ink drawings are entirely abstract, made up cursive forms that, like characters from an imagery alphabet, spin and tumble across a page." "M. Pravat’s recently concluded solo show at Aicon Gallery in Manhattan was almost a blueprint for loss, life and living. About streetscapes and mindscapes and memories but also about re-imagination, and new layerings added to the scaffolding of what we remember. Did it all happen or is that just how we remember it? The show was also about absences and presences." 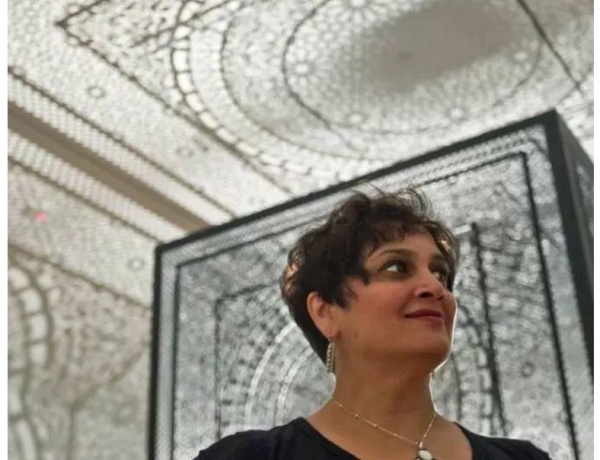 "Pakistani American artist Anila Quayyum Agha has been celebrated for her groundbreaking sculptural installation ‘Intersections’ that earned her global acclaim and resonated with a host of cultures. 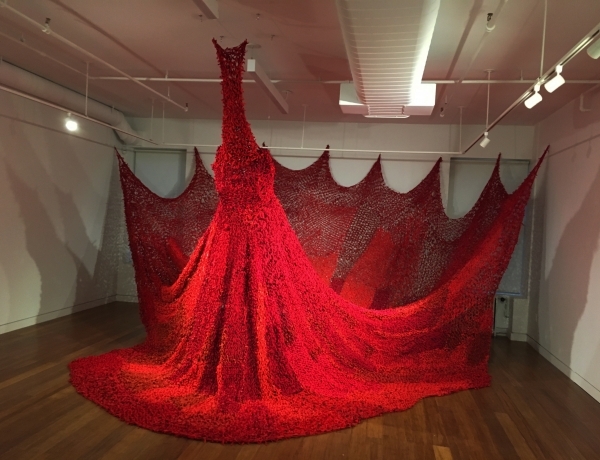 Her recently concluded exhibition “Walking with My Mother’s Shadow” at Aicon Gallery, New York, weaved even more personal, intimate stories." "In a year marked by migration and displacement, artists at the Kochi-Muziris Biennale 2016 frame the idea of home and away." 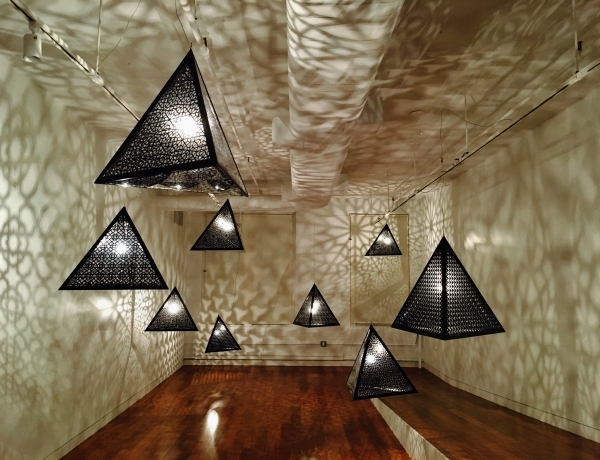 "Since winning the public and juried votes at artprize 2014 for her luminous installation ‘intersections’, pakistani artist Anila Quayyum Agha continues her work with sculpture, shadow and light. 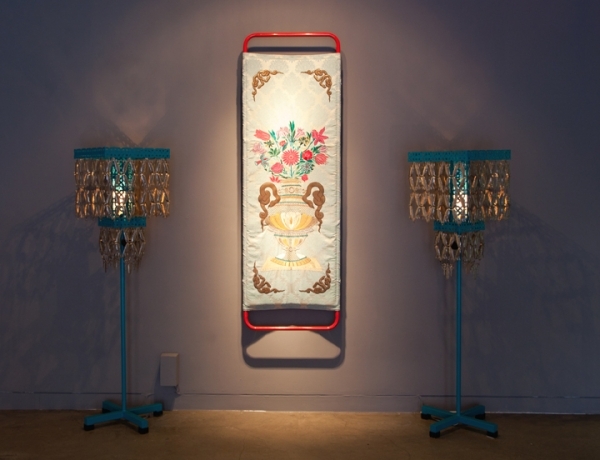 ‘all the flowers are for me – red’, recently presented at New York’s Aicon Gallery as part of the exhibition ‘Walking with My Mother’s Shadow’, magnifies an ornate display of floral and geometric motifs within the space. this piece, and other new works on show, reflects on the complex facets of love and loss the artist experienced over the past year." 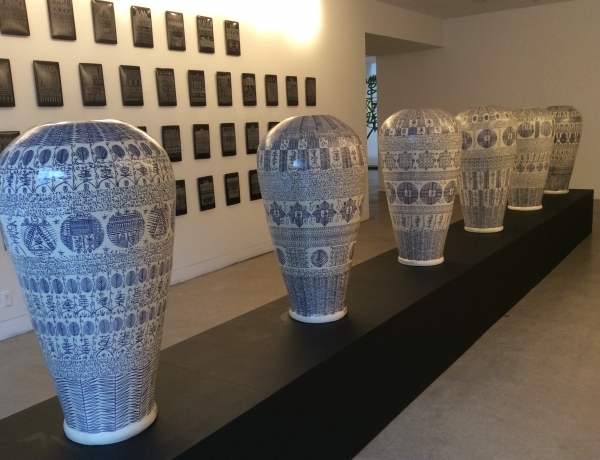 "We have always been big fans of Pakistan-born artist Anila Quayyum Agha’s mesmerizing art. 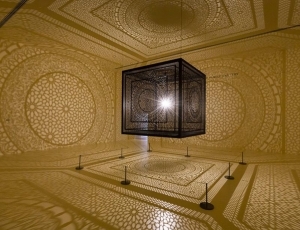 In 2014, we raved about Intersections, a captivating wooden cube that cast dreamy shadows with a single light bulb. Fortunately for us, Agha is still creating intricate installations in this style, with her most recent, radiant piece being All The Flowers Are For Me." 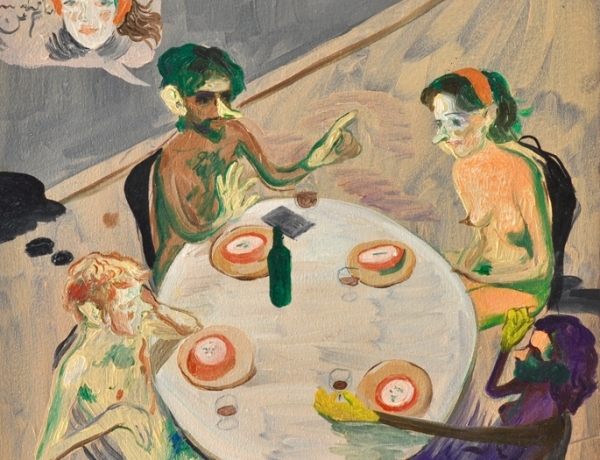 "THE NEW YORK SEASON YEAR SAW SOME FINE GALLERY SOLOS. Omer Fast (James Cohan); Rachid Koraichi (Aicon); Zoe Leonard (Hauser & Wirth); Hilton Als (The Artist’s Institute); Carolee Schneemann (Lelong and P.P.O.W. ); Howardena Pindell (Garth Greenan); and an installation by the ineffable Genesis P-Orridge at the Rubin Museum." "Pakistanis have many many talents. Stalking, creeping and making up the most absurd things about other people. But other than that there are Pakistanis with real talent and they deserve as much of our attention for hustling and making themselves a name with their insane creativity. Here’s our jaw-dropping list of amazing Pakistani artists that NEED to be followed right now." 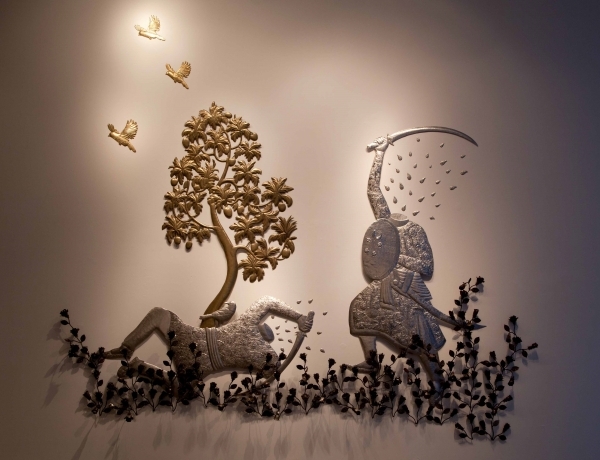 "The ongoing intriguing group show titled Delicate Bond of Steel is a result of the unique exchange between Chatterjee & Lal in Mumbai and Aicon Gallery in New York. 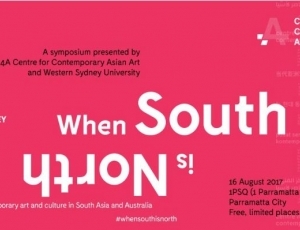 The latter’s first gallery show in the country, hosted by the South Mumbai exhibition space, features works of several South Asian artists based out of Australia, the U.S., Bangladesh and India." USA-based, Pakistani artist Anila Quayyum Agha opens her first major solo show in New York titled ‘Walking with My Mother’s Shadow’ at Aicon Gallery. 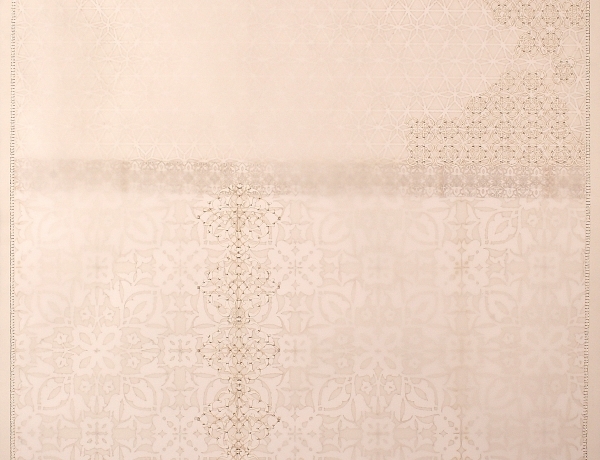 Breathtaking intricate installations in materials such as steel, cut with delicate patterns, or embroidery and beads on white, black and brown paper, reflect and refract light into the gallery space. 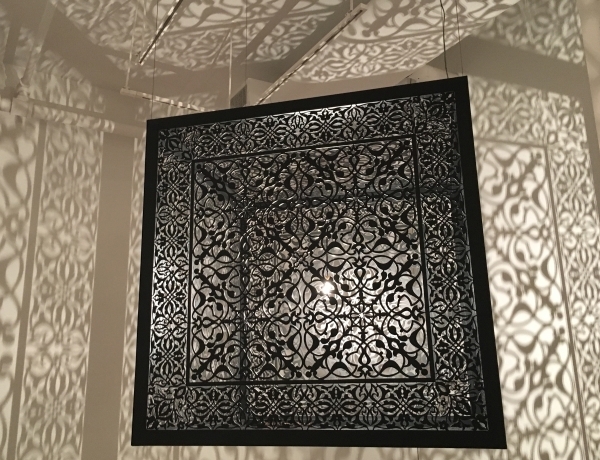 The veil provides a fitting metaphor to view Anila Quayyum Agha’s exhibition, “Walking With My Mother’s Shadow,” at Aicon Gallery through November 26. 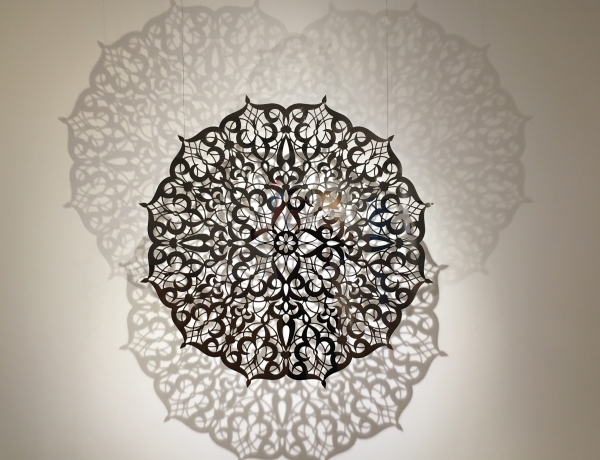 Whether in her signature floating cubes or her lesser-known embroidered paper works, Agha’s lacy snowflake designs, layered in translucent piles, draw in the viewer’s eye and won’t let go. There is just so much to feast upon — the sharpest lines cut in material as rigid as steel and as gossamer as paper, precisely aligned leaves of the thinnest paper stabbed hundreds of times and stitched with sharp thread pulled taught in complex patterns, beads like transistors on a circuit board, layers upon layers upon layers. "Aicon Gallery, a New York space that focuses on South East Asian art in particular, will bring works by Rasheed Araeen, Saad Qureshi and Irfan Hassan to the capital. 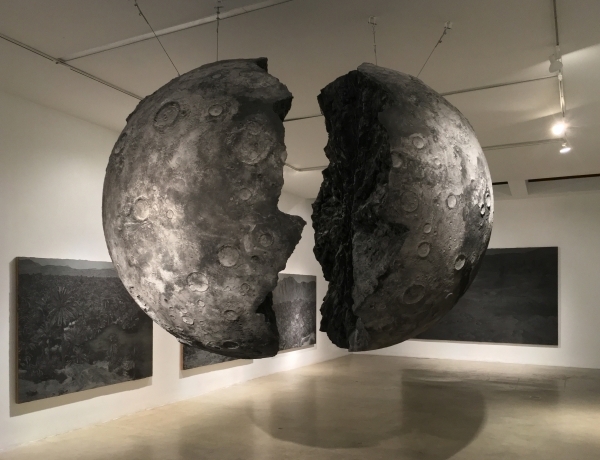 The gallery also participates in Art Dubai, but sees the proximity to the museums in the capital as an important reason also to attend Abu Dhabi Art." 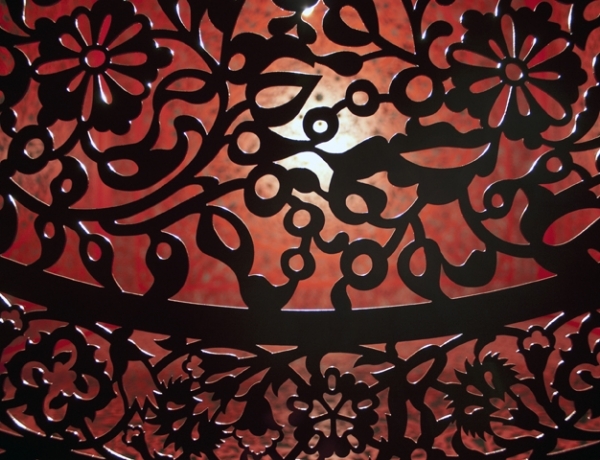 “Walking With My Mother’s Shadow, the current exhibition by Pakistani-American artist and recent ArtPrize winner Anila Quayyum Agha, offers an unabashedly gorgeous and emotional experience to viewers. In her first major New York solo show, Agha explores love and loss through highly intricate and conceptually complex sculptures. 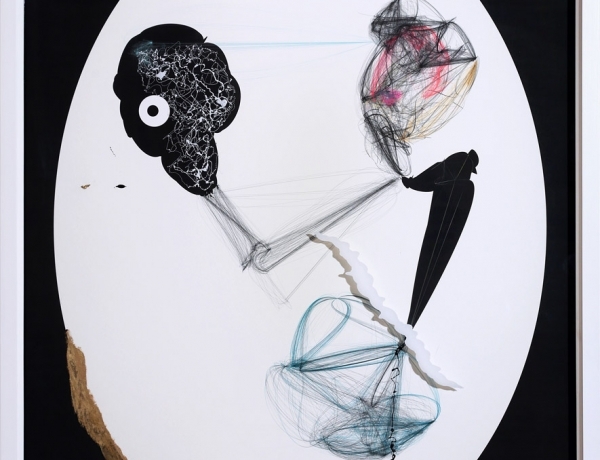 Featuring delicate patterning, her work operates at the intersection of between differing cultures, people, and memories." "Mumbai’s Chatterjee and Lal and New York’s Aicon Gallery talk to us about their upcoming gallery swap and why it’s a refreshing change from art fairs." 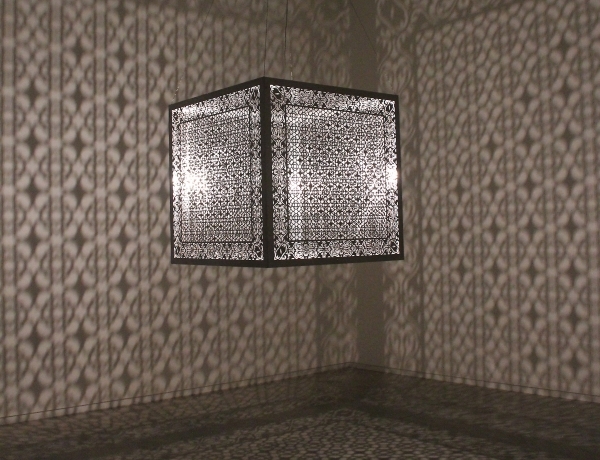 "When Pakistani-American artist Anila Quayyum Agha visited the Alhambra, she was struck by the emotional expressions of its visitors. They had that Alice in Wonderland look on their faces as they stared at something extraordinary. Anila thought to herself, “I’d love to do that to people." "In times of turmoil between India and Pakistan, an artistic exchange seeks to promote harmony and highlight a common culture through art." "It was a coincidence that Aditya Pande was in the gallery when I visited his solo exhibition at New York’s Aicon Gallery in May. A regular visitor, I greeted the staff and mentioned that I was planning to write a piece about the artist. At this news he was dragged over and responded to my introduction with a modest incredulity that was quickly put aside as we ran through an impromptu tour of the show." 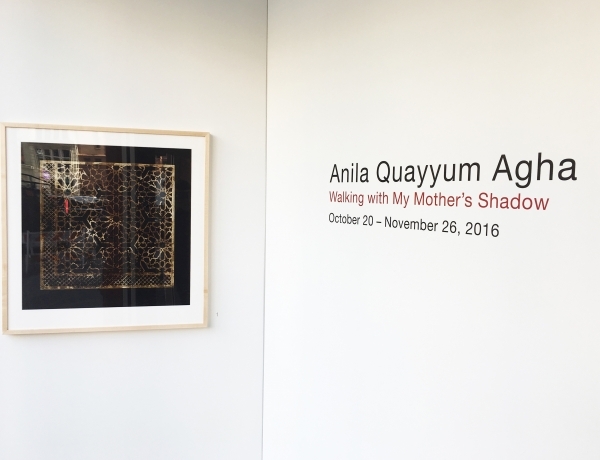 "During ACAW, Aicon Gallery presents “Walking with My Mother’s Shadow”, the first major New York solo exhibition by Pakistani-American contemporary artist Anila Quayyum Agha. Anila’s current work reflects on the complexities of love, loss and gains experienced by the artist over the past year." "Tim Smith-Laing talks to Rasheed Araeen about six decades of art making, writing and publishing." 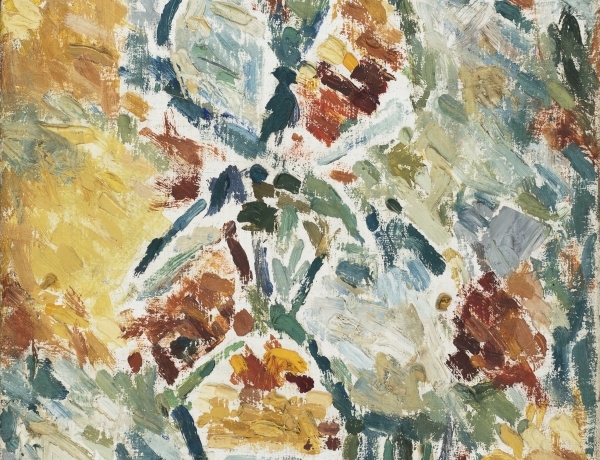 "The selection of artwork is divided into two important sets - the first, from the artist’s early days in Karachi delving into the abstract scene that led to his groundbreaking introduction of the kinetic into Minimalist art. The second a series of new canvases exploring color-field, movement, and depth through checkered grids derived from traditional Islamic architectural and textile patterning. When combined together these form a trajectory mapping the artist’s 60 year long constantly evolving and highly dynamic oeuvre and artistic career." "Engagingly installed across two of BAM’s three buildings, works by Kamrooz Aram, Anila Quayyum Agha, Kameelah Janan Rasheed and Slavs and Tatars inhabit spaces not originally conceived for contemporary art, using the architecture as a frame to “uncover the visual and physical space between ancient and modern, past and present,” and to cloud the distinction between the work of art and its surroundings. 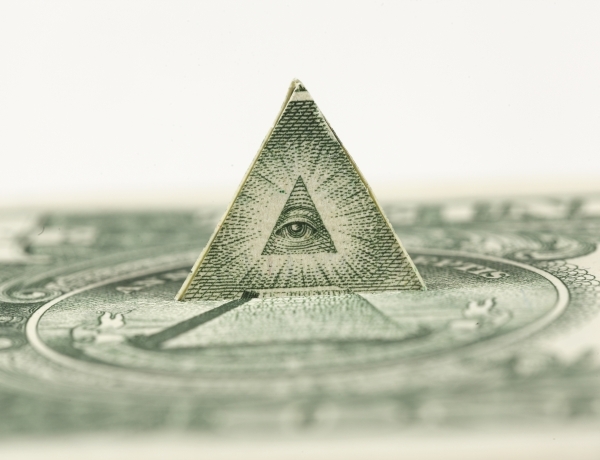 In an exciting development of his ongoing investigation." 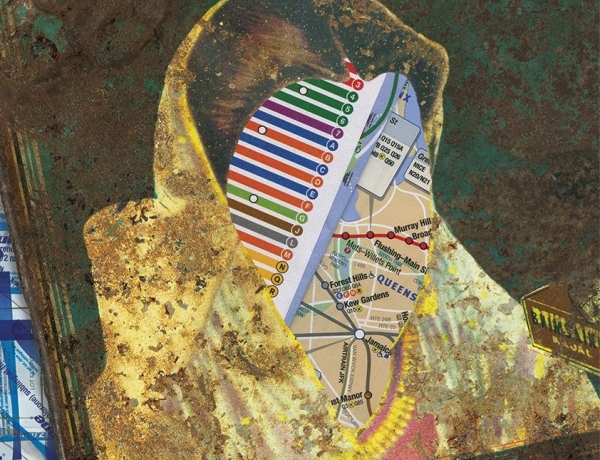 "I fell in love with Pakistani Art in New York City. Pakistan has once again made headlines in New York City, but this time it’s for a good reason. 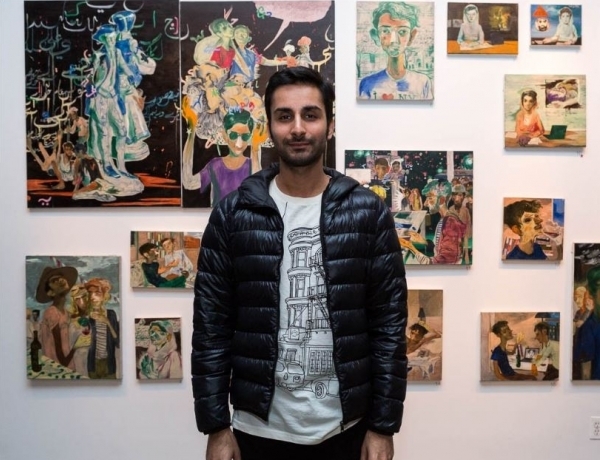 Go Figureis a group show of young aspiring artists from Pakistan, showcased at Aicon Art Gallery in the East Village area of the city." 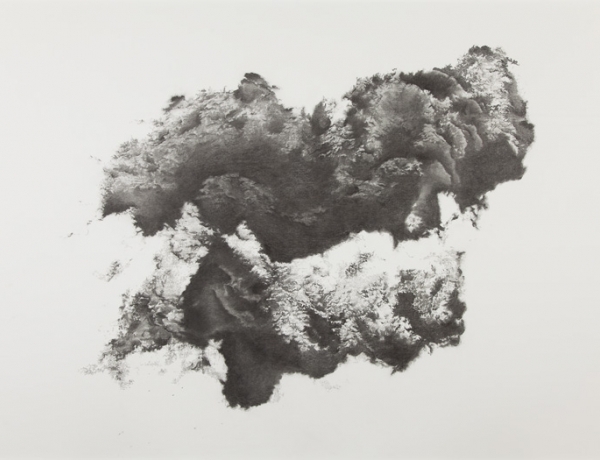 "The recent Met Breuer survey of work by the Indian artist Nasreen Mohamedi (1937-1990) was a first exposure for many New Yorkers to a Minimalist-style strain in contemporary South Asian art. 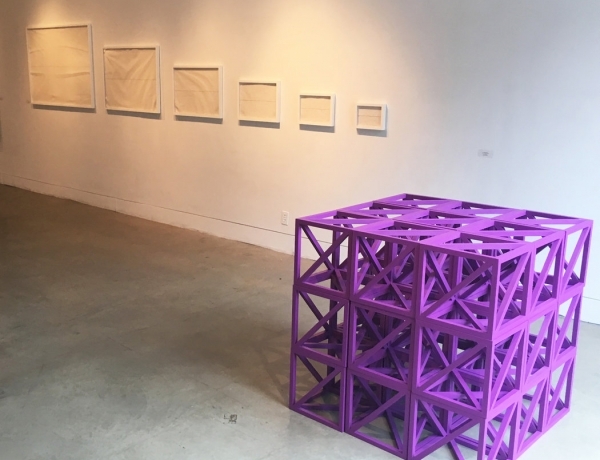 In reality, the presence of that aesthetic has long been,and continues to be, substantial, as this tender show at the Aicon Gallery, “Between Structure and Matter: Other Minimal Futures,” demonstrates." 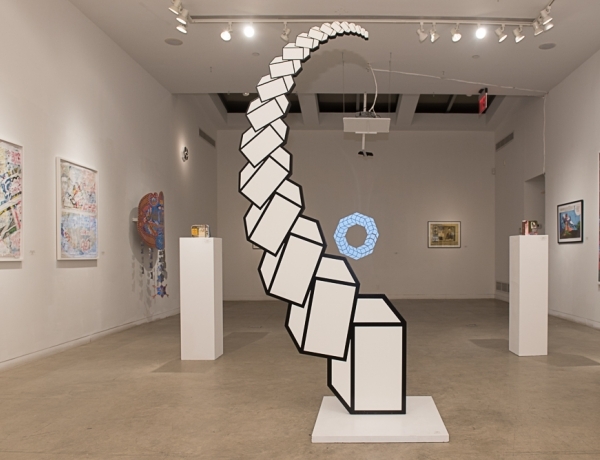 “Between Structure and Matter: Other Minimal Futures,” on view through July 2 at Aicon Gallery in New York, attempts to flip this attitude forward and outward, strategically pushing the past into and through an expanded present. Citing the historian of minimalism James Meyer, for whom the movement was fundamentally irreducible — a “field of difference,” as he wrote his 2001 volume “Minimalism: Art and Polemics in the Sixties” — exhibition co-curator Murtaza Vali stated on a recent afternoon at the gallery his belief that “other minimal futures are possible, and here are some examples of how it has happened. 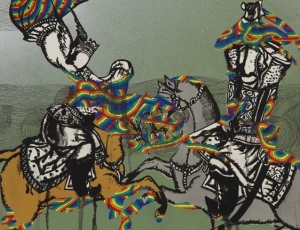 "Curated by Murtaza Vali and Prajit Dutta, this exhibition features artists hailing from or affiliated with South Asia and the broader Middle East. It focuses on Minimalism as a capacious philosophical concept that draws together non-Western practitioners from different generations. The works end up defying this aesthetic categorization, however, as there is a subtle emotional tactility throughout the show that enables content—personal, political—that, of course, runs counter to chilly, textbook Minimalism." "Through his works, the artist critically questions the current social and political scenario in his home country Bangladesh as well as vital global issues faced by humanity." 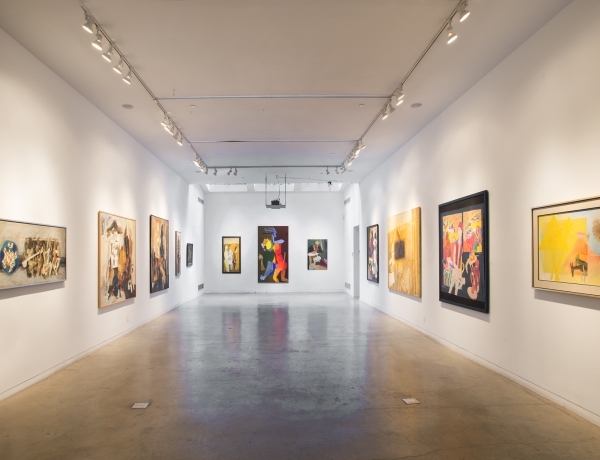 "Similarly, only Aicon Gallery, isolated on a block near the Bowery, is likely to come up with the focused look at the Indian modernist S. H. Raza that it gives us here." 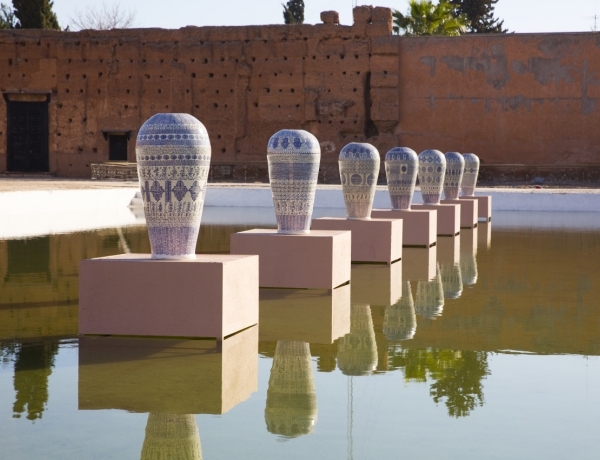 "Concurrent with the display of La prière des absents in Marrakech, in New York the artist recently had a solo exhibition at Aicon Gallery, Love Side by Side with the Soul, where one could come closer to the surface of his vases and view them with other works, such as a series of banners called The Invisible Masters. Yet in spite of the ability to almost touch the ceramics in New York, one still cannot easily read all the words. Standing close to one vase from La prière, one could just make out the name of the artist’s mother, Rahima, repeating in reverse, and force oneself to read other words backward." 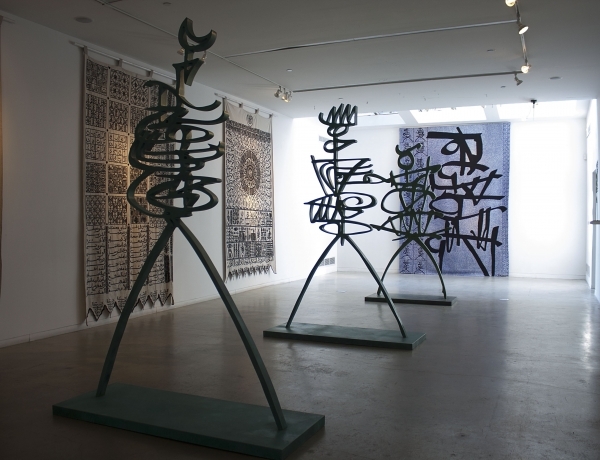 "Rachid Koraichi, who has been widely exhibited internationally for decades, is only now having his first New York solo exhibition. 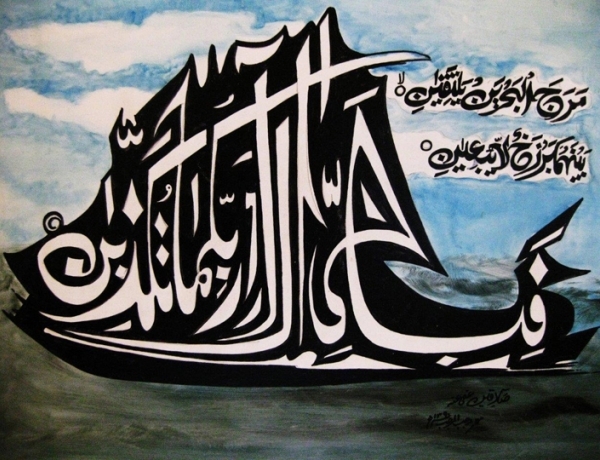 Born in Algeria in 1947, he came from a family of Quranic scholars and copyists in a Sufi tradition. 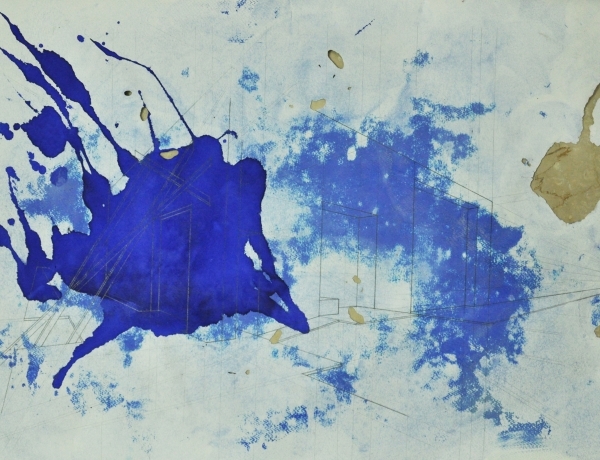 He trained as a calligrapher before studying painting and printmaking in Paris in the 1970s and has made the written word, as a conveyor of spiritual philosophy, poetry and politics, his primary medium. 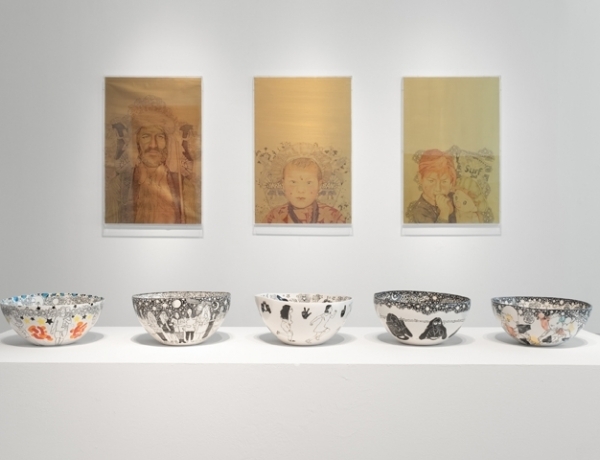 Just as language serves as a visual binder in many Islamic cultures, so it does in Mr. Koraichi’s formally diverse but completely of-a-piece show, “Love Side by Side With the Soul,” at Aicon Gallery." "Prominent Baroda-based feminist artist Rekha Rodwittiya, who is the founder of The Collective Studio Baroda, is back here after two decades with a major exhibition at the Aicon Gallery, ‘The Rituals of Memory: Personal Folklores and Other Tales’, which runs from Feb. 4 through Feb. 27th." "Conversations both personal and political in Peabody." "Pakistani artist Adeel uz Zafar skillfully blends the pleasant and the unpleasant memories we all associate with childhood. Originally a children's book illustrator, his work derives its imagery from a collective international pop culture, but the playful cartoon characters he depicts appear in a damaged, far scarier form than we are used to seeing them. 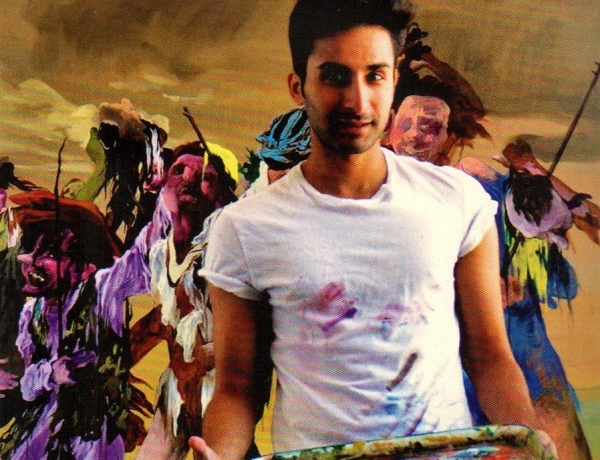 Having recently completed his first US solo show, “Monomania" at Aicon Gallery, Zafar discusses his studio practice, his background, and what we can expect from him next." 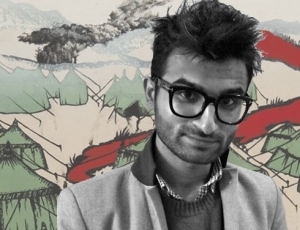 "Recently, Aicon Gallery in York exhibited Monomania — the first solo US exhibition of Karachi-based artist Adeel uz Zafar. The title of the exhibition summed up the themes that the works encapsulate. Monomania presents a commentary on the shades of insanity where thoughts focus on a specific cluster of subjects; the excessive enthusiasm for a single thing, or idea. 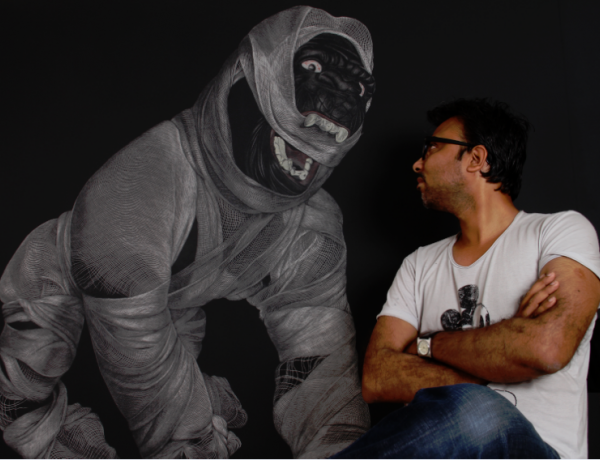 Zafar’s work is quite obsessive to say the least." 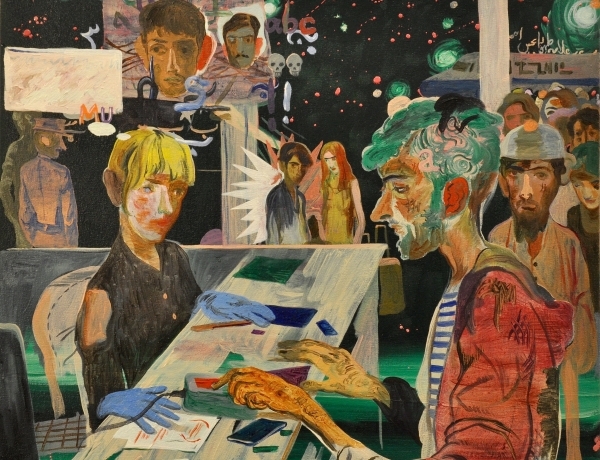 "Salman Toor is the best kind of contemporary painter: funny, insightful, and not afraid to get personal. His colorful, figurative images are both intimate and relatable, featuring crowds of people engaging in romantic or imaginative adventures, filled with references to the artist’s many travels and international background." "Salman Toor’s insular scenes of life in Pakistan have vanished. Instead ghosts, hobos, poets, exiles, counts, ascetics, rabble-rousers, vagrants, and partygoers inhabit a no-man’s-land where time stands still. 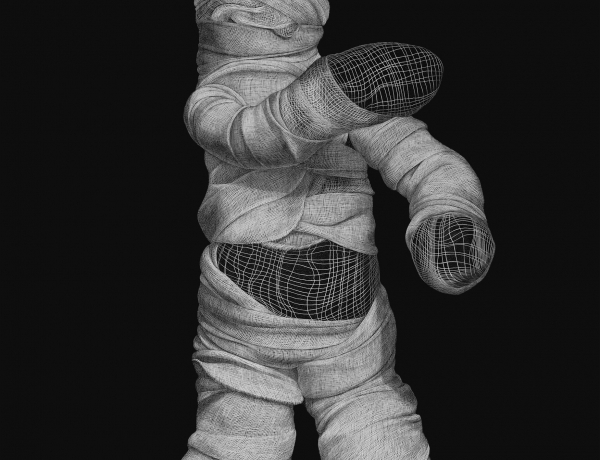 In Toor’s second solo exhibition at New York’s Aicon Gallery, Resident Alien, an artist possessed by a spirit to experiment and plunge into a new world has emerged." 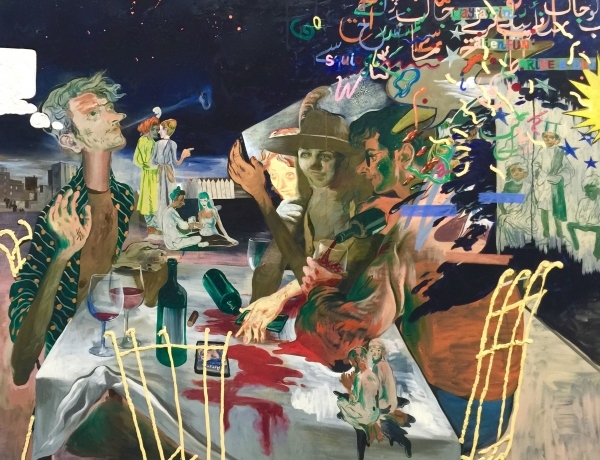 "The Kominas brought the curtain down on Asian Contemporary Arts Week at the Aicon Gallery on November 8 surrounded by the exhibition of works from Salman Toor. Like some of Toor's art on the wall, the Kominas tackle racism, Islamophobia, American paranoia and stereotypes (the name of their latest album is, indeed, Stereotype). A fierce rock band in the classic punk vein, the Kominas's audience was flailing along with the band's energetic performance." 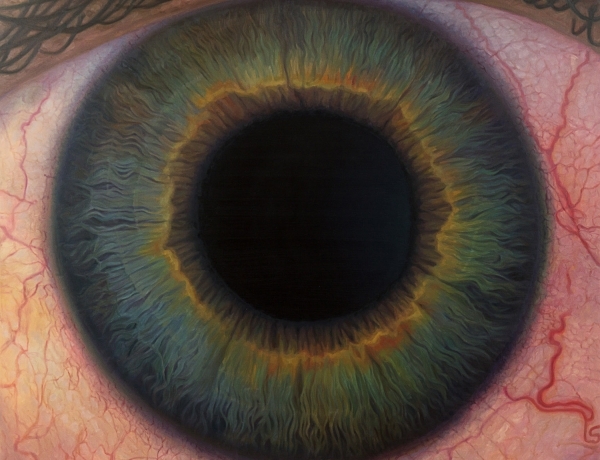 "11 Things to Do in New York's Art World Before October 30th"
"A mini-retrospective of M.F. Husain — the celebrated and colorfully controversial Indian painter who died in London in 2011, at the age of 95 — runs through October 24 at Aicon Gallery in NoHo. Covering six decades in approximately 24 paintings, the show affords a rarely seen overview of India’s Picasso, with excellent examples from every decade of his wildly prolific oeuvre." 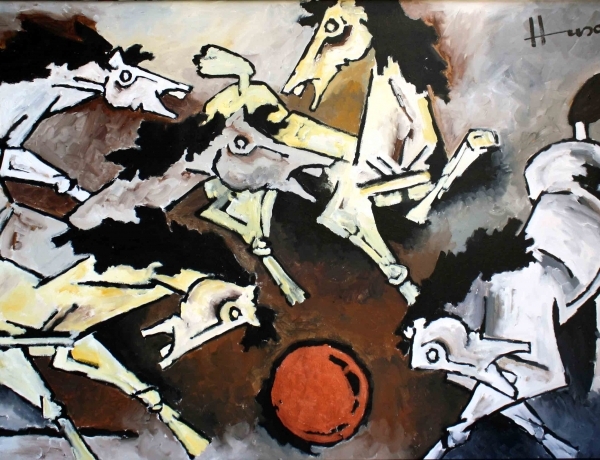 "Since his beginnings in the 1940s, Husain sought to radically redefine and redirect the course of Indian painting, paving the way for Modern Indian art’s now recognized presence on the international stage." 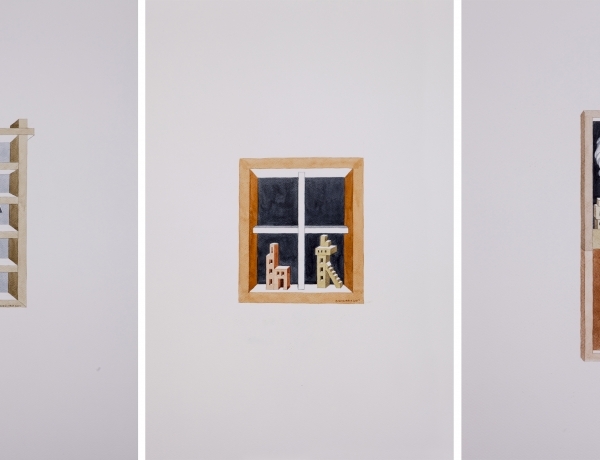 "Drawing a fine line between voyeurism and vigilance, Indian artist Abir Karmakar’s second solo exhibition “Uncanny Space” at Aicon Gallery continues with his preoccupation of seducing viewers to become surreptitious onlookers of his painted private spaces. Yet at the core of his presentation of empty bedrooms and intimate living areas lies the significance of invisibility. 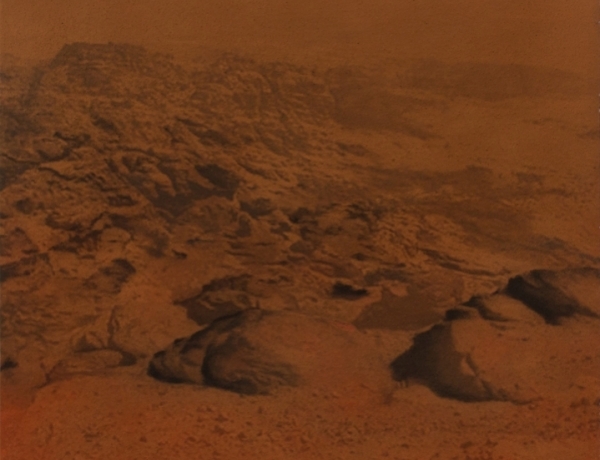 The nameless other, or the one who cannot be seen, lurks in the background, allowing the viewer to conjure upon these unseen figures his or her own human dimensions." 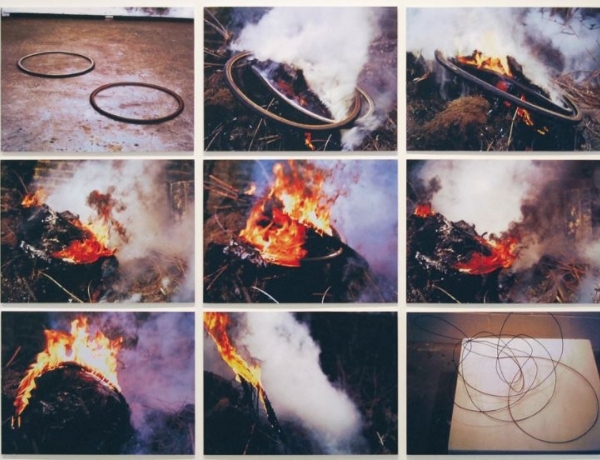 "10 Things to Do in New York's Art World Before June 19th"
LeWitt, Carl Andre and Donald Judd, the pioneers of the movement during the 1960s, Araeen’s institutional recognition has only been recent." "Overlooked amid all these accomplishments was Mr. Araeen’s art, a selection of which is at Aicon Gallery inhis first New York solo exhibition. 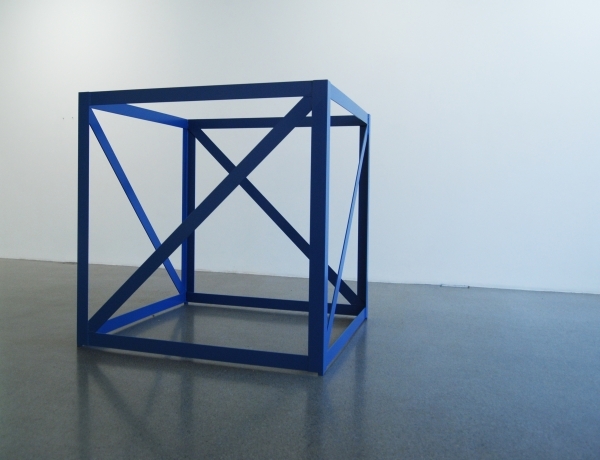 Trained as a civil engineer, he became an artist after seeing Anthony Caro’s sculptures. 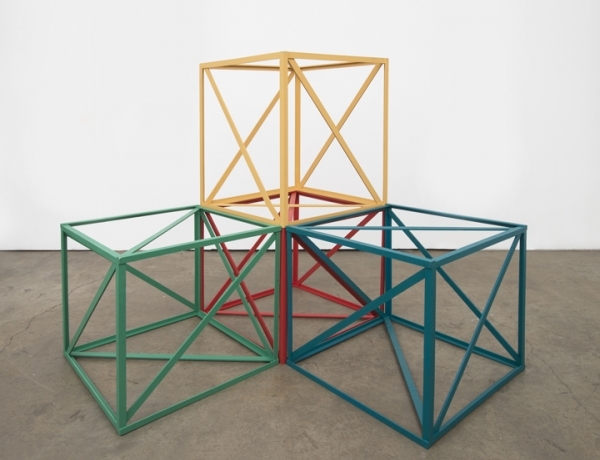 His own early pieces combined Mr. Caro’s use of industrial materials with openwork structures adapted from architecture. 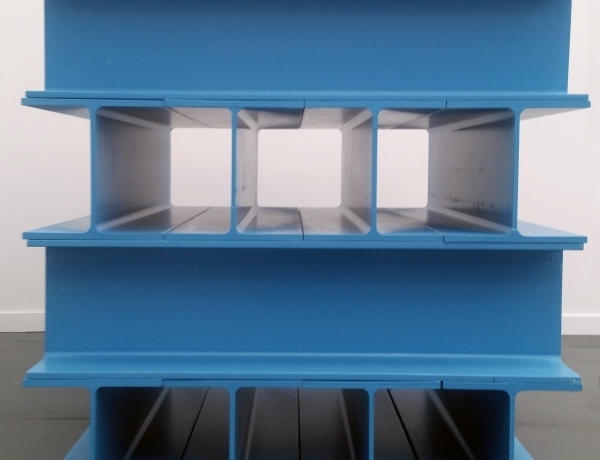 In the early 1960s he developed a version of what would come to be called Minimalism before its introduction in New York by Donald Judd and others." 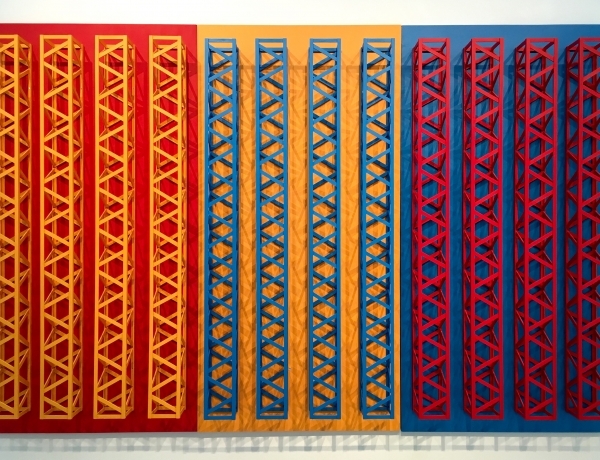 "THE DAILY PIC: I raved about the British Minimalism of Rasheed Araeenwhen it was on view last year in the Jewish Museum group show called “Other Primary Structured". 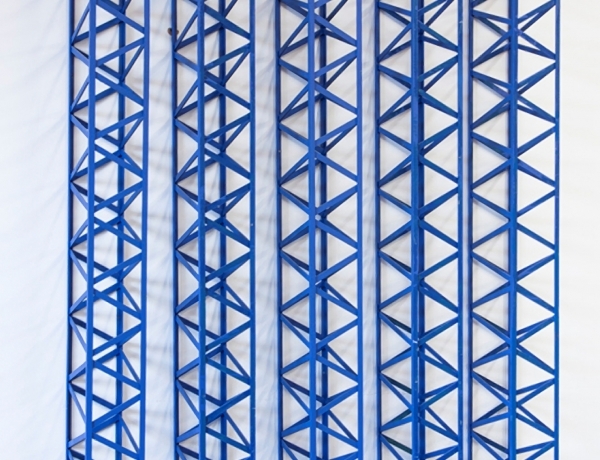 Now Araeen has a solo at Aicon Gallery in New York; it includes today's Daily Pic, titled First Structure and conceived in 1966-67 (i.e., at the same moment when New York's Minimal art was coming together)." "With art from regions as diverse as Africa, Eastern Europe, the MIddle East, and South Africa, the ninth Dubai Art Fair 2015 established its credentials as a global player." 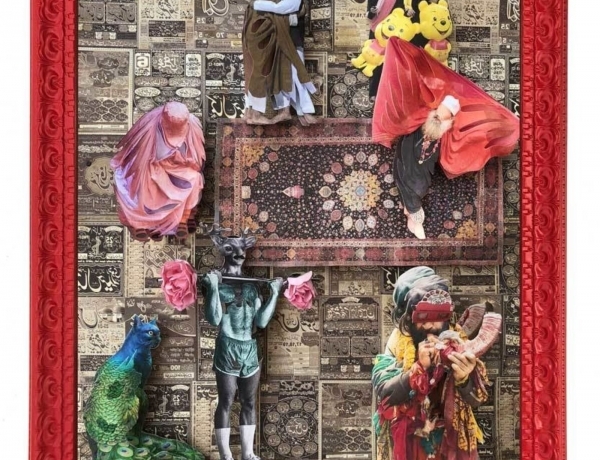 "At the Art Dubai 2015, Pakistani artists in significant numbers sought to introduce different facades of social, political and religious realities." 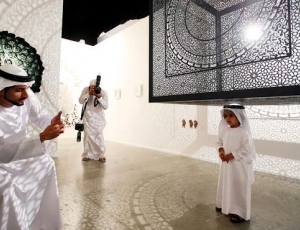 "After Sheikh Hamdan bin Mohammed bin Rashid posted a picture of this beautiful work on social media, it quickly became the fair’s most photographed piece of art. 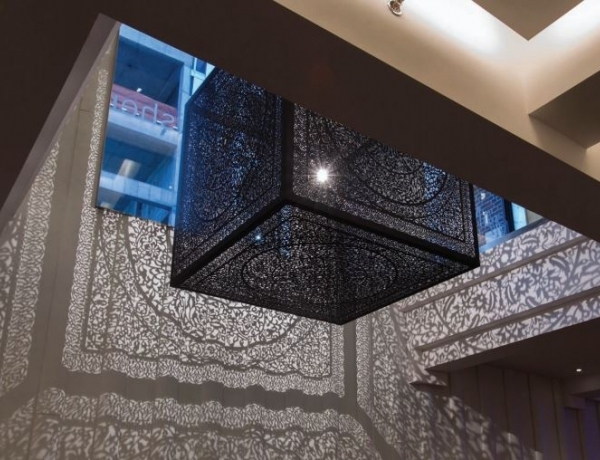 The suspended black cube, laser-cut with Islamic patterns that cast shadows on the wall from a single light bulb within it, is a 2014 piece by Pakistani artist Agha and was exhibited by Aicon Gallery from New York. Throughout the event, streams of people gathered around it to catch it at the best angle." "At a time when cultural frontiers are closing and horizons narrowing, Art Dubai is broadening the international conversation about art. 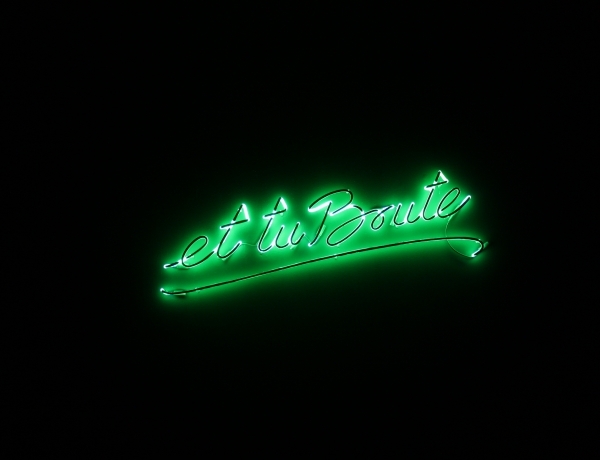 For that reason it is the world’s most important and radical art fair." 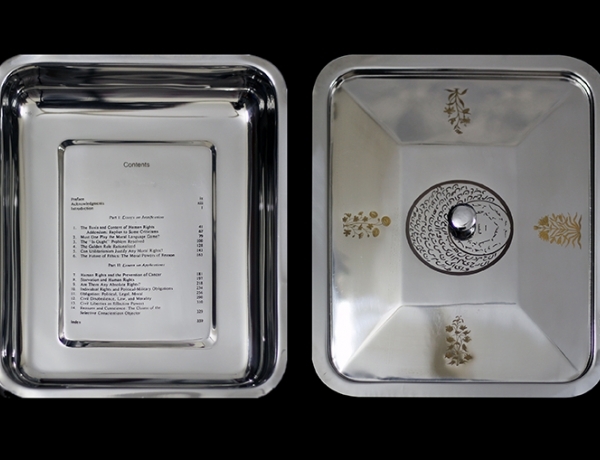 "Aicon Gallery is a contemporary art gallery specializing in emerging Indian and Pakistani artists. Formerly Gallery ArtsIndia, Aicon Gallery was one of the first platforms for Indian art in the United States. Today, the primary goal of the gallery is to foster dialogue between South Asian and Western art at their New York and London locations." 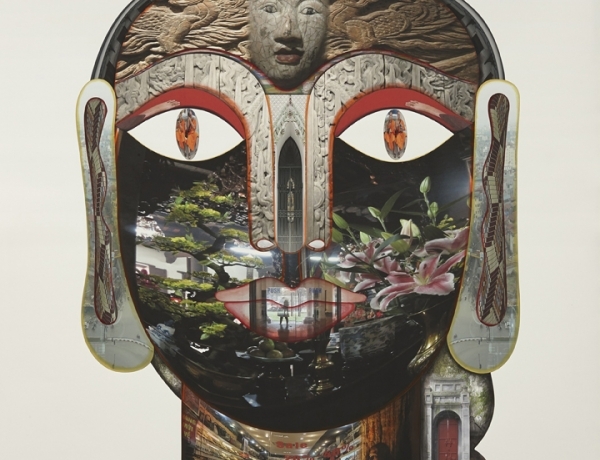 "The Aicon exhibition illuminates the astonishing fluidity with which Suri moves between worlds. "I like his drive, which goes in so many directions — writing, music, visual arts," says Salman Rushdie, the author with whom Suri has kindled an unlikely friendship. "And he's helped me to get a better understanding of a younger generation of Indian Americans." "The show fuses Pakistani with Indian, Islam with Hinduism and North American with South Asian, without highlighting the major chasms separating these dichotomies in the Eastern world. 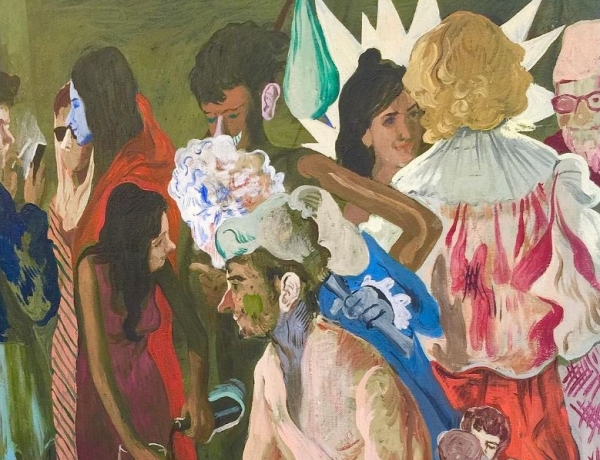 The subtext of the works largely communicate with Suri’s music: both are compendiums of deep knowledge of pop culture and both American and South Asian." "57 Great Jones is also just a block away from the Aicon Gallery, where as part of the lead-up to his first full-length solo album, Eat Pray Thug, Heems curated an art show of the same name, featuring desi artists like Ratna Gupta, Ranbir Kaleka and Abdullah MI Syed — as well as art he created in partnership with Chiraag Bhakta, aka Pardon My Hindi. As in his music, Heems’ visual art references borrow heavily from his north Indian family’s experience in the United States"
"Now, however, Suri has jumped into the (marginally) more serious business of curating his own gallery show: “Eat Pray Thug,” the same moniker he’s given his forthcoming solo album, which runs through March 10 at Aicon Gallery on Great Jones Street. 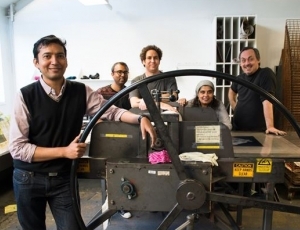 The multimedia group show of artists with ties to India and Pakistan, including Suri himself, also features a parallel series of live events, including an appearance from Muslim punk band The Kominas on March 7." 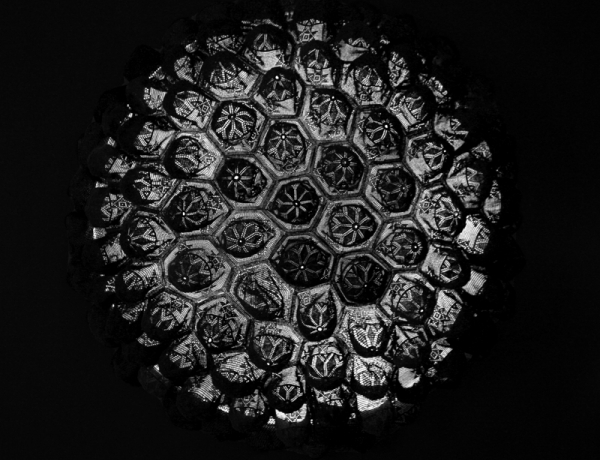 "We are also bringing a number of site-specific pieces for each fair: Abdullah Syed has created a dome made from prayer caps for Singapore, and Adeela Suleman has been working on some magnificent steel sculptures for Delhi." "The show is a collection of etchings and silkscreen prints that thrived on shared experiences of looking, and of semblance. As arbitrators and translators of their respective cultures, the artists, through their works, revealed a yearning for a kind of order. 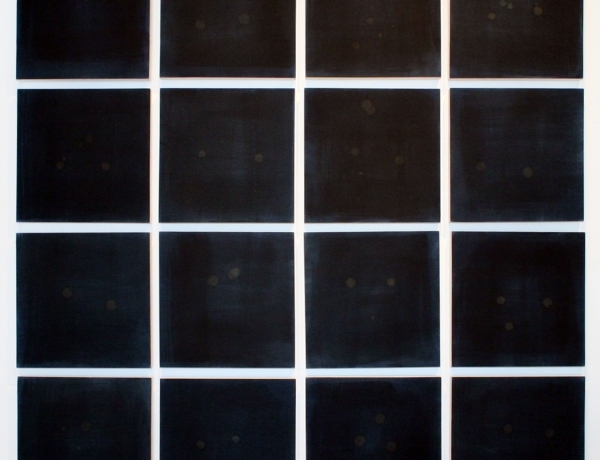 Collectively their works swayed between the creating and breaking of repetitive forms and grids." "Aicon Gallery in downtown Manhattan currently has an excellent exhibition up,Readymade: Contemporary Art from Bangladesh. 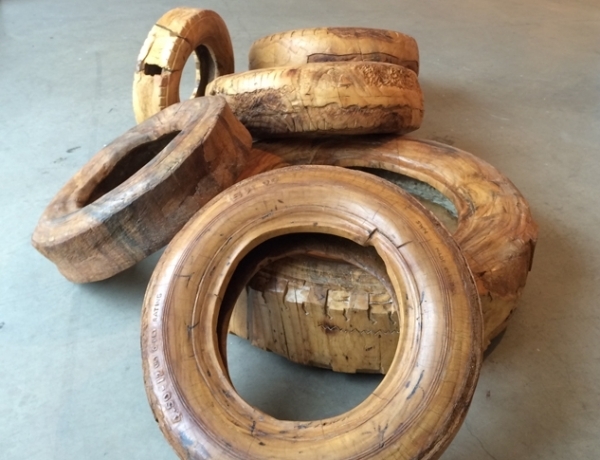 It’s the obscure object of my art desire: a summer show offering a take on materials and craft that ranges from the familiar to the utopian-exotic. That the show seems to stand in for real politics with an indignant view of the use and abuse of labor, activism, and the status of women in Bangladesh — and that it does all this while hinting that it’s just the tip of the sinking iceberg — make Readymade a must-see." 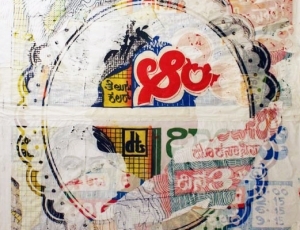 "The Bangladeshi contemporary art scene began to grow in the 1990s, twenty years after the country gained independence from Pakistan in 1971. Today, Dhaka burgeons with young talent, with new art venues sprouting up alongside established art spaces. The exhibition “Readymade” features nine exciting Bangladeshi artists who explore diverse social, political and economic issues in their country." 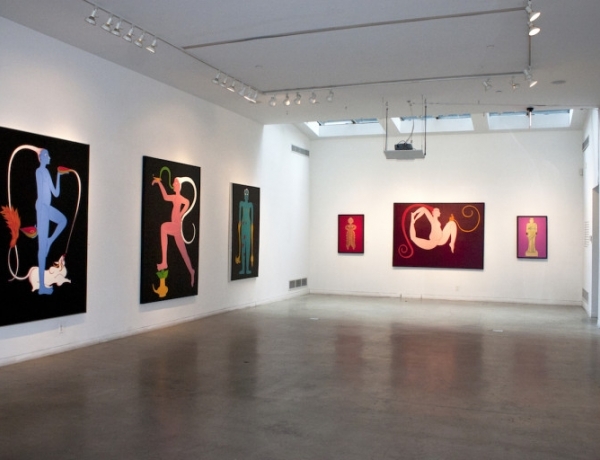 "Aicon Gallery’s first solo exhibition in New York of contemporary art from Bangladesh is off to a good start. 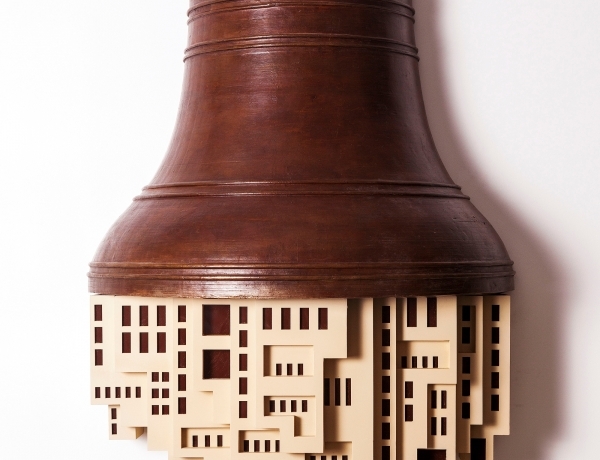 Tilted “Readymade,” which consists of work by established and emerging artists compressed into a relatively short time frame that began after Bangladesh gained independence from Pakistan in 1971, displays an art scene edgy for its political content, talent and imagination." 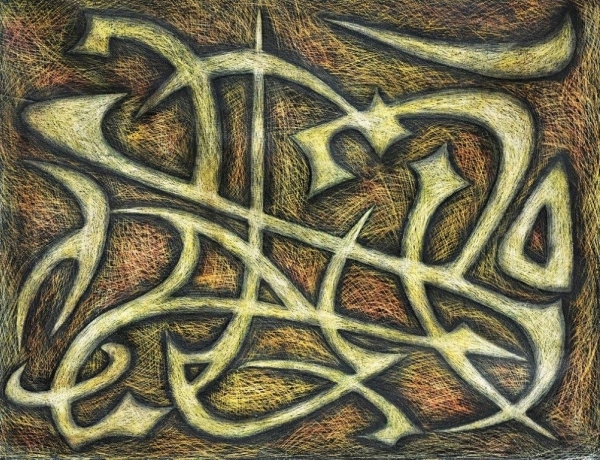 "Comprising twenty seven paintings and three drawings, the show is dominated by a collection of paintings from the 1960s, when Sadequain lived and worked in Paris. Titled The Lost Exhibition, this set of eight paintings are dancing figures of calligraphy; lyrical despite their scale." 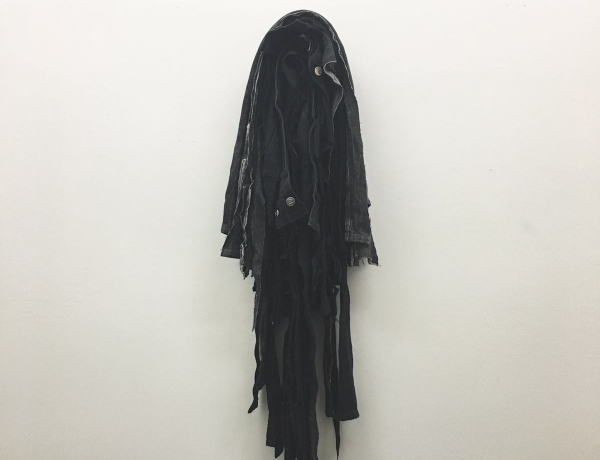 "Adeela Suleman, resorting to the absurd and the bizarre, makes light of grim realities by toying with the subversive; she uses politically-inflected satire to probe the spectre of death that we continue to confront due to terrorism, militancy, target killing, vandalism, street crime and affiliated violence." "Following in the tradition of miniature painting, these finely rendered enamel works continue Suleman’s theme of beheaded figures with a surreal and engaging undertone. Implications of cruelty, pointless mayhem, and the continuing aftermath of colonialism are implied through the nuanced narrative. Lush Victorian landscapes and colonial figures feature in a mash up of genres and styles that effectively combine different periods from the 13th century painting technique to the gold filigree porcelain borders of the 18th century and make for a lively contemplative space." 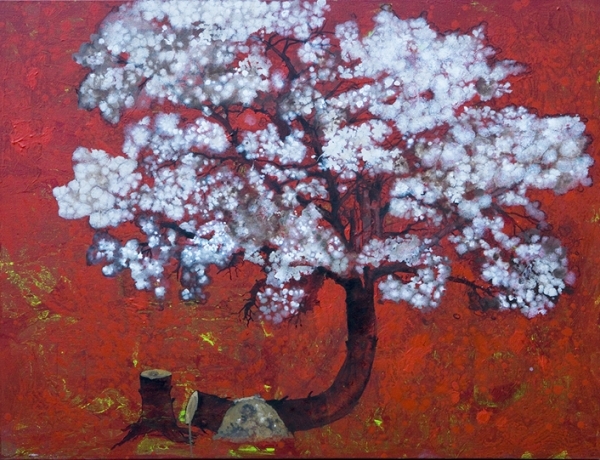 "Aicon Gallery is currently showcasing Tempered Branches, a solo exhibition of new works by G. R. Iranna. The work continues to build upon Iranna’s career-spanning investigation into how social frameworks and religious dogmas, traditionally viewed as net-cultural positives, either directly or indirectly serve to suppress freethought and organic growth, often with complex and disastrous consequences." "Alternately playfully irreverent and hauntingly solemn, these sculptures all ultimately speak to the ongoing social and ecological crises that continue to unfold not only in increasingly commodifying consumer societies such as India and China but on a global scale." "Similarities in approaches and content of this art with parallel situations elsewhere are such that the general resonance of conflict and change, vagueness and clarity, mix of Eastern and Western vocabulary, hybridity and mutation is easily identifiable. 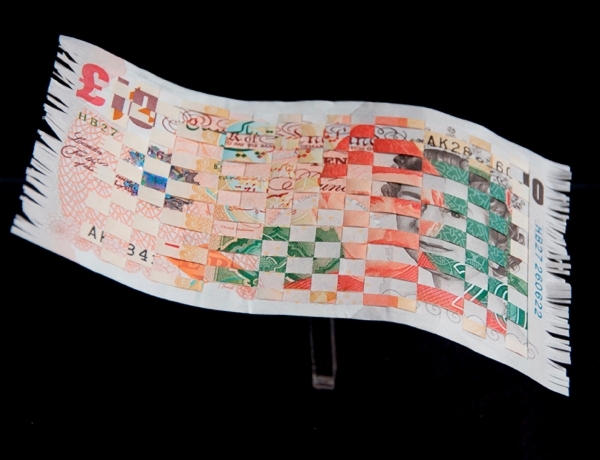 New generation artists are flexible and free from the weight of traditional art methodologies. Using renewed methods of thinking and addressing problems to create relevant art, they are creating a vocabulary that global audiences are also able to understand, and relate to." 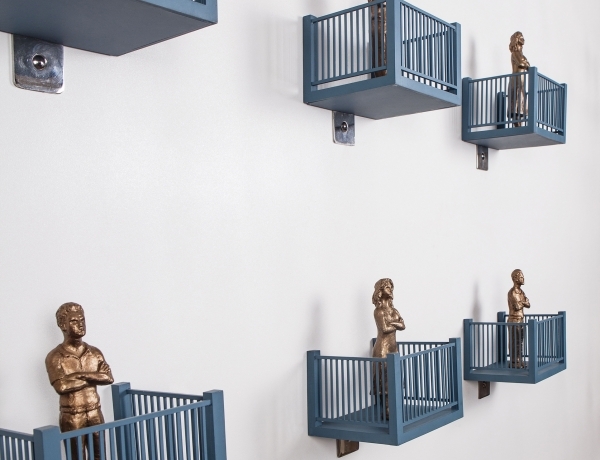 "The London-based artist Saad Qureshi shows his latest mixed media works at Manhattan’s South Asian art hotspot, Aicon Gallery, until the end of this month. Although he is trying to adopt a more universal visual language, his work remains, like so many Pakistani artists, rooted in the rich cultural metaphors and latent violence of his country of origin." 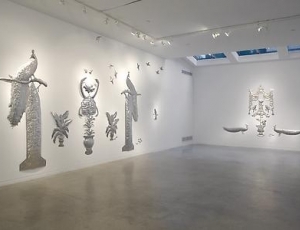 "On a recent day stroll around the Bowery area, I came upon this gallery on Great Jones and from the interiors, the works of London based artist Saad Qureshi called out to me like a melodious call to prayer from a minaret." 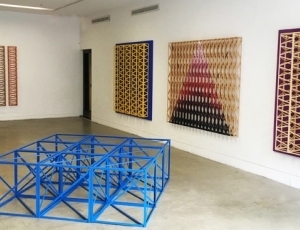 "The exhibition explores the very essence of the dichotomy of the word Brut(e) through chance, experimentation, collaboration and real and imagined narratives while drawing on an obsession with the effects of history and geography on questions of performed identity and the construction of multiple contrasting ‘Others’." 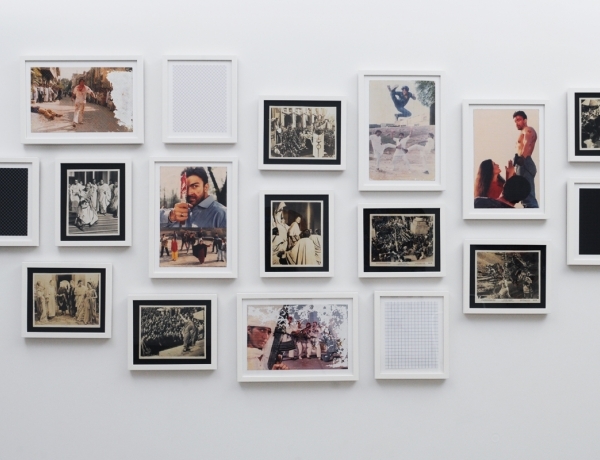 "Abdullah M. I. Syed’s first solo exhibition at Aicon Gallery, New York, which was held from July 18th to September 7th 2013, takes his concerns with strained US-Pakistan relations to a new level of investigating Pakistani identity and self-image. Through various mediums Syed casts light on Pakistan’s precarious political position with a more nuanced and complex presentation of its culture and people." "Syed takes his cues from both Western and Eastern vocabularies of art history and theory to re-contextualise and re-frame contemporary issues. The contents of the show may impact foreign audiences as a potent and exotic mix of Diaspora related anxieties but they emit a more measured resonance here." 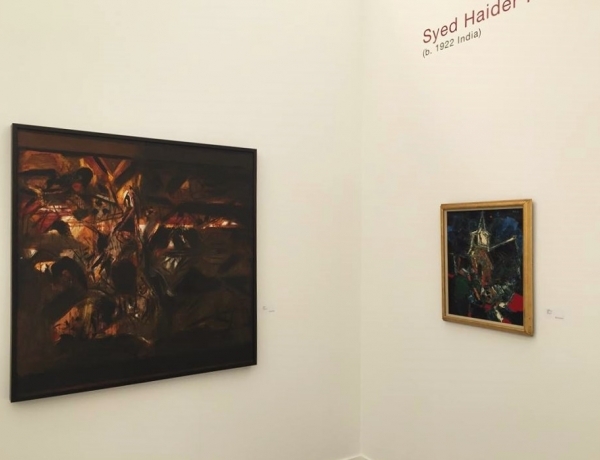 "The varied pieces on display come together to put forward a cohesive commentary on these issues and how they transcend boundaries as well as how they impact US relations with predominantly Muslim countries, in this case Pakistan, where Syed is from. 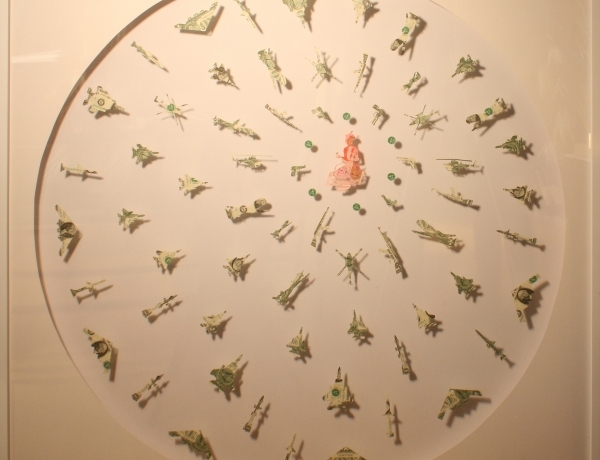 One piece that drew a significant amount of attention was a circular installation made of American dollars intricately cut into miniature guns, rifles, and military planes." 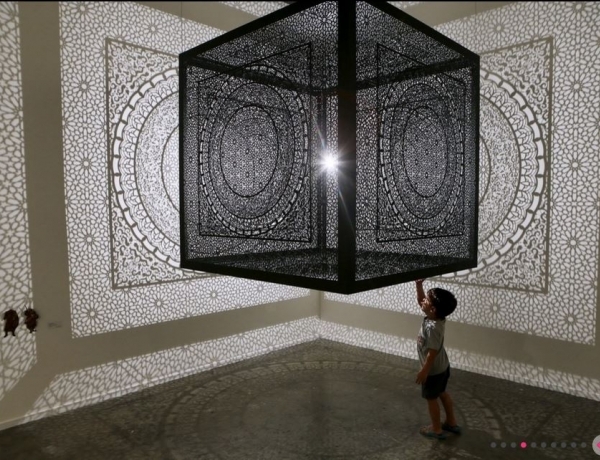 "Already, Abdullah M I Syed’s first major US exhibition generates plenty of mystique. 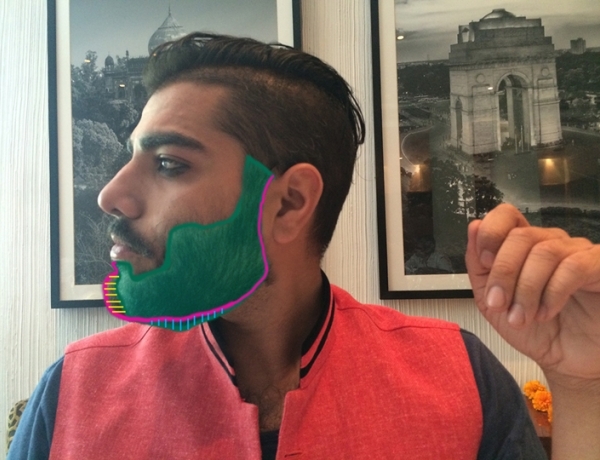 Not only is it a rarity– an Australia-based Pakistani artist exploring Muslim male identity– but it’s also the narrative. 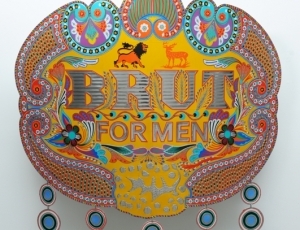 “Brut-Nama: The Chronicles of Brut,” stems from Faberge’s popular fragrance, “The Essence of Man.” Syed will examine the essence of Brut, as a male ideal, as well as the arts and crafts tradition of “Art Brut,” or Outsider Art." 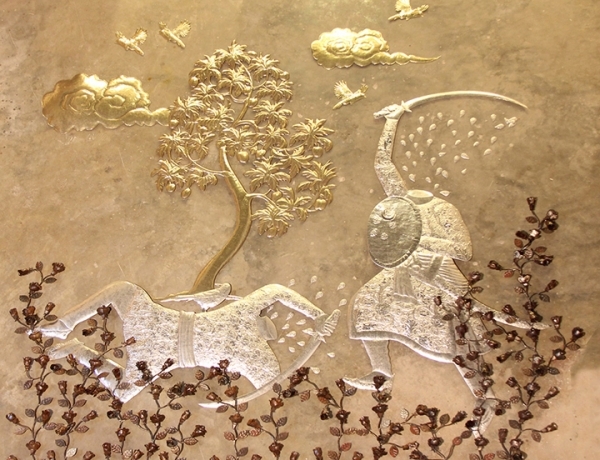 "Most of the seven sculptures by Adeela Suleman recently on view at Aicon Gallery (all works 2010) may be called reliefs. Crafted from hammered steel, the works rises slightly from the gallery walls, appearing abstract as they glisten with intricate detail. They are, in fact, elaboratley figurative: Birds, often flanking large plants, ornamentally proliferate, as do vases, drapery, and crowns. 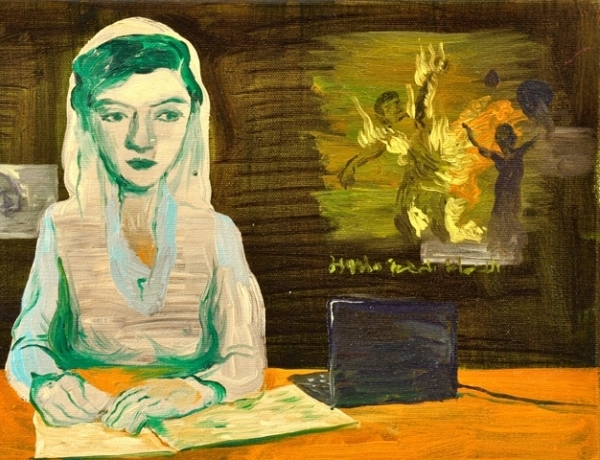 Suleman is Pakistani, and acknowledges that her art is about Pakistan, a nuclear state plagued by suicide bombers. But her work,with its traditional cultural imagery celebrating life, ironically disguising contemporary barbarism,also speaks to the violence that threatens life and civil society everywhere."